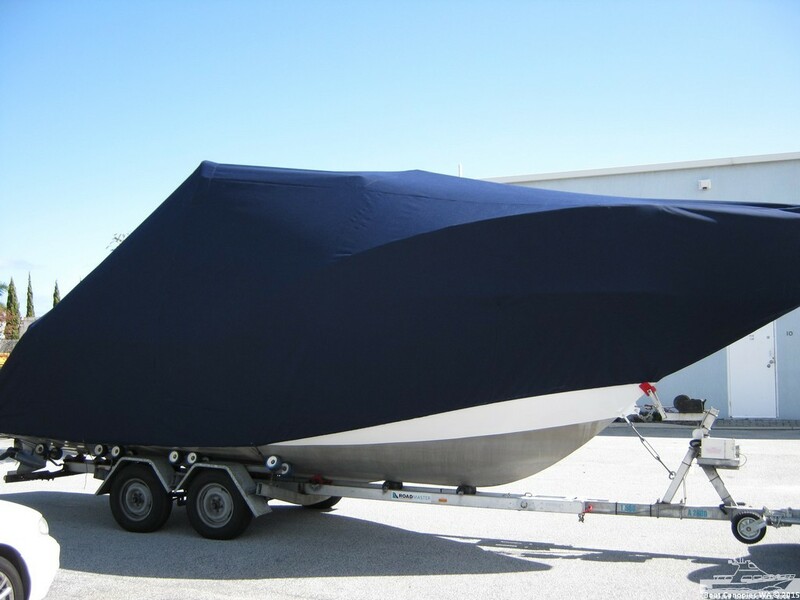 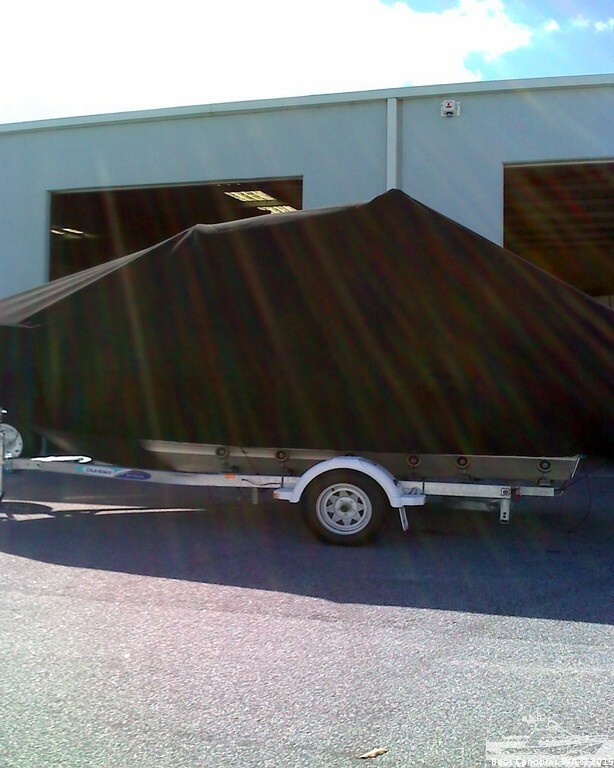 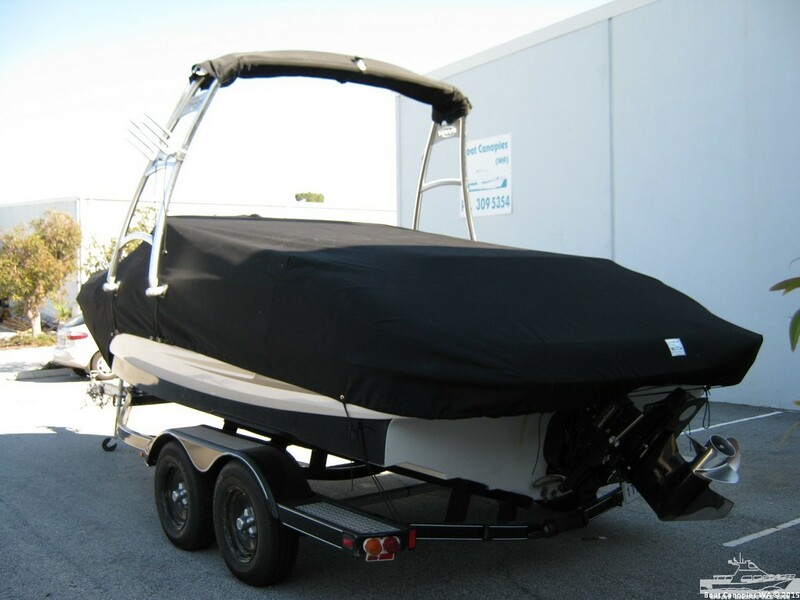 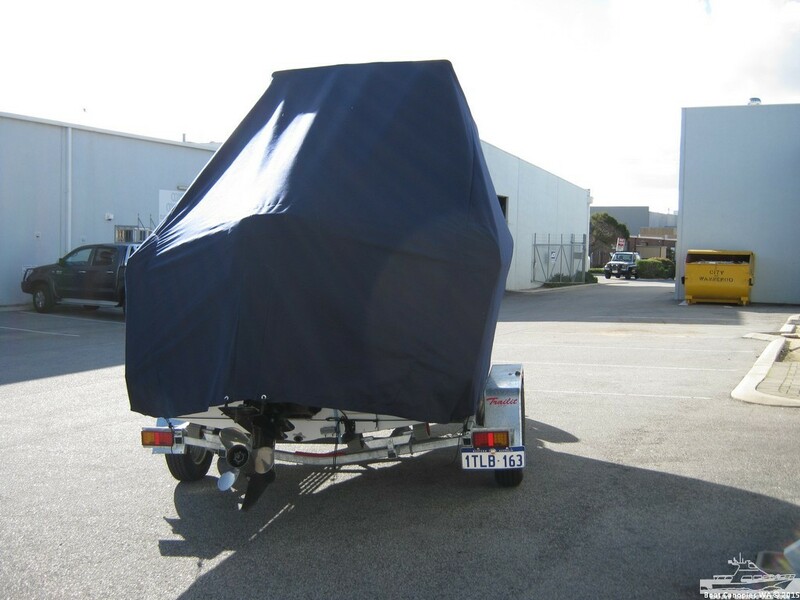 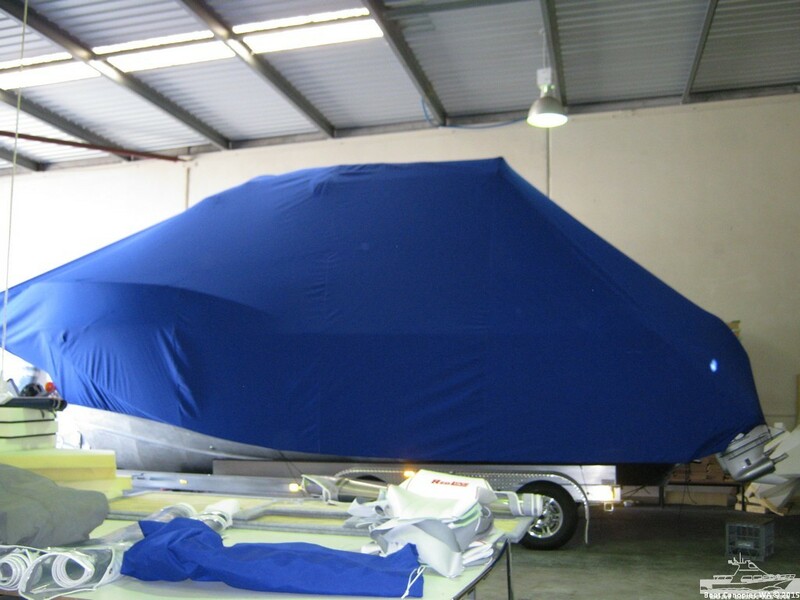 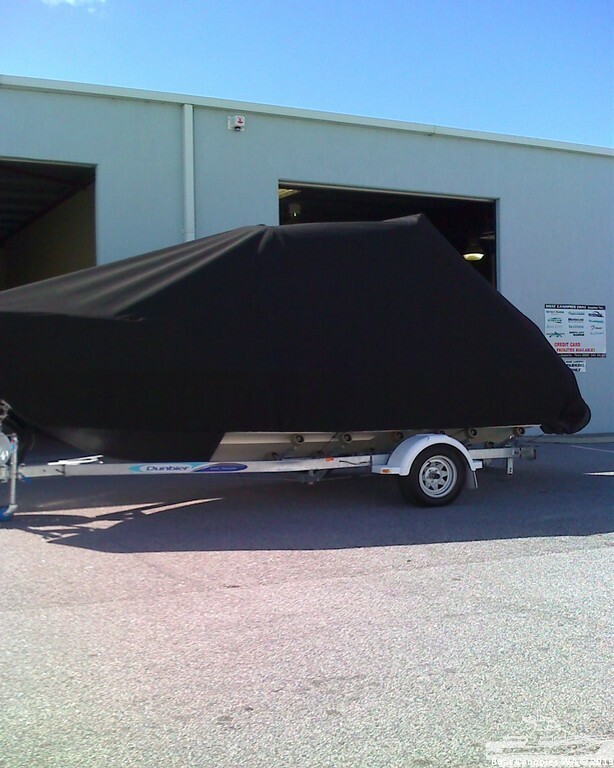 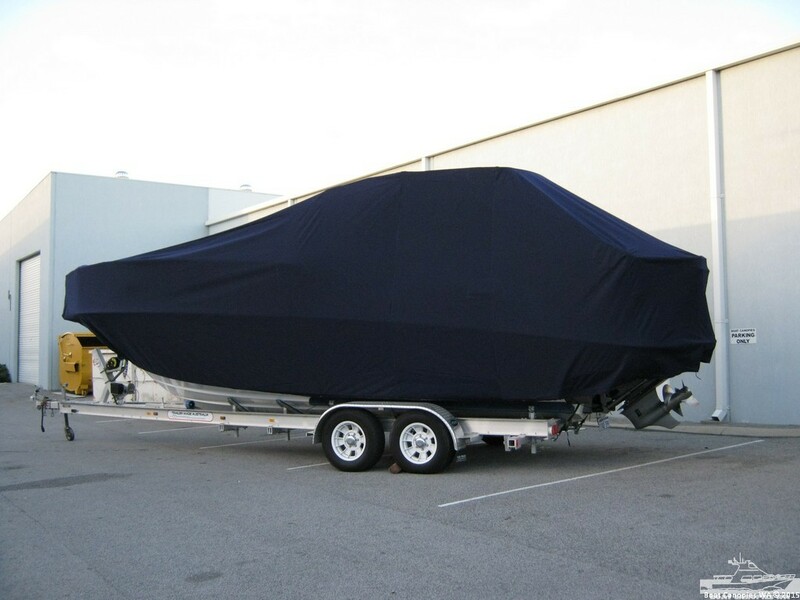 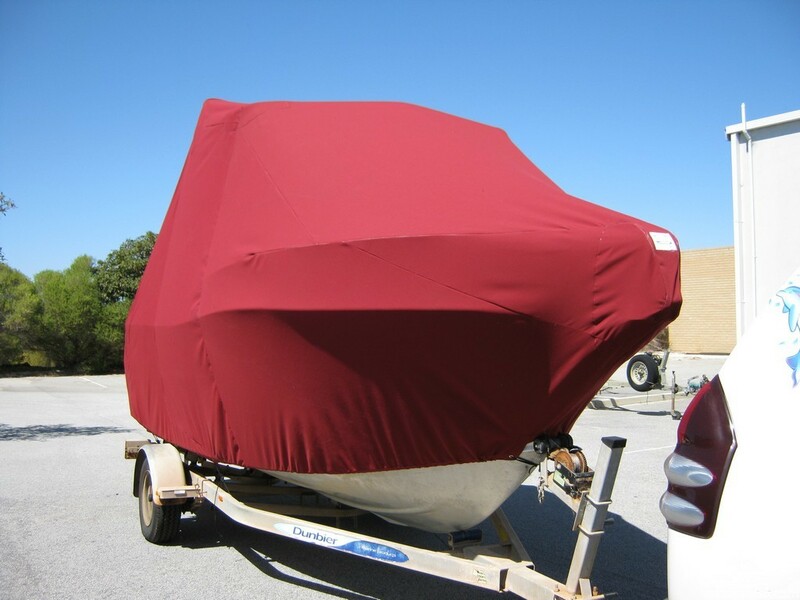 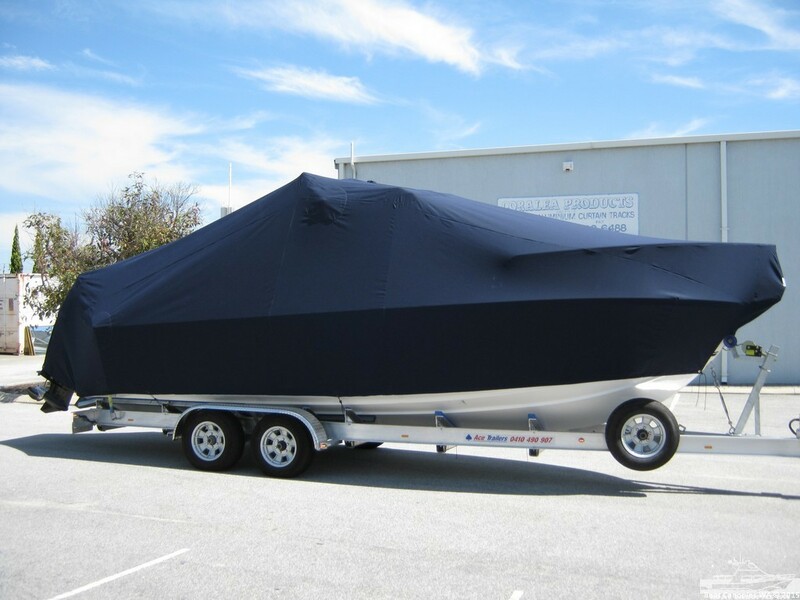 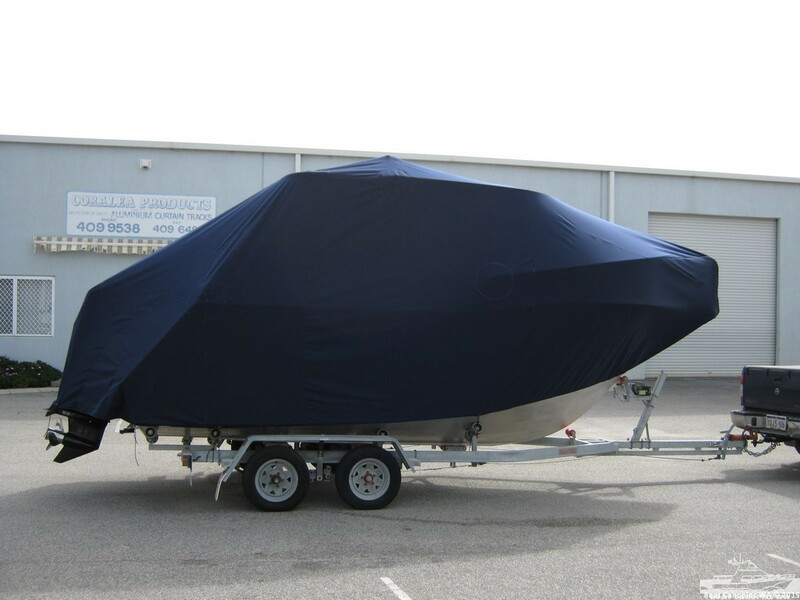 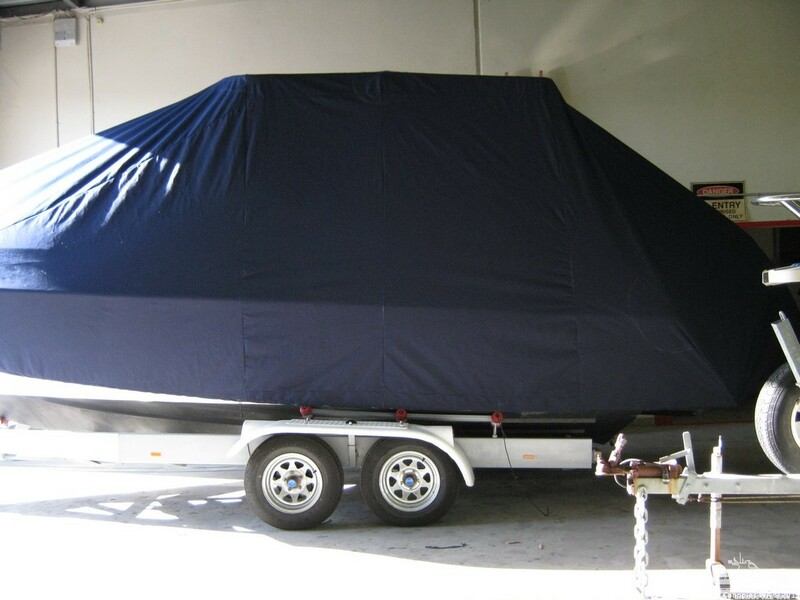 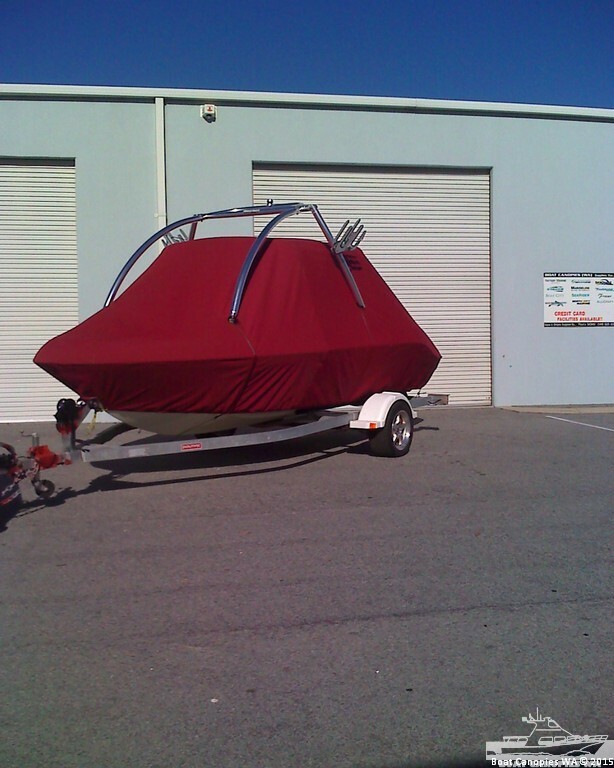 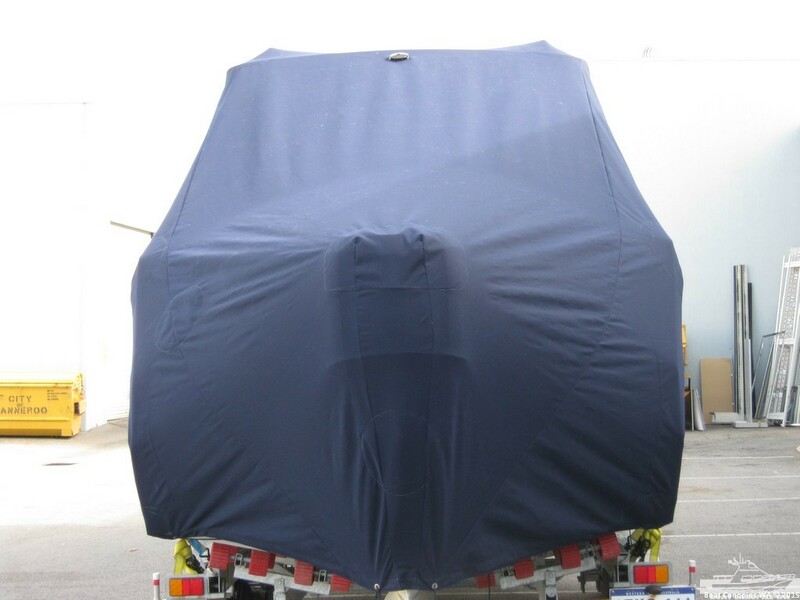 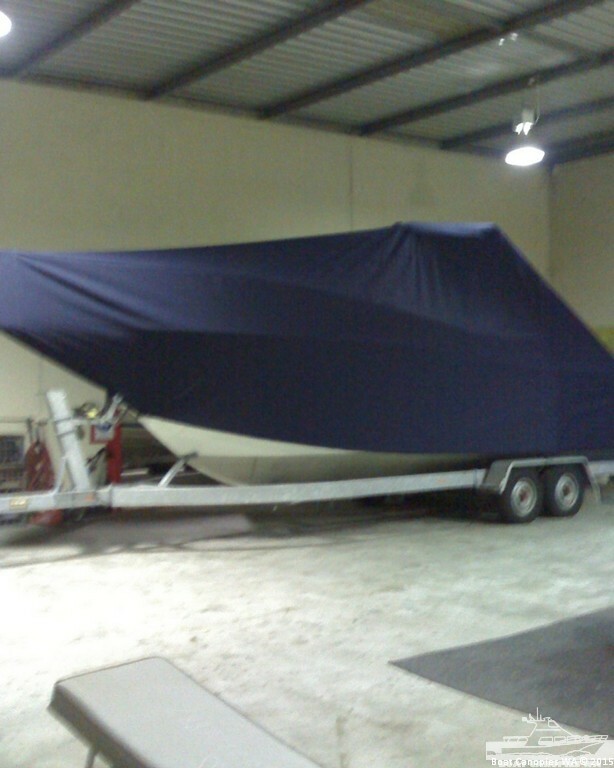 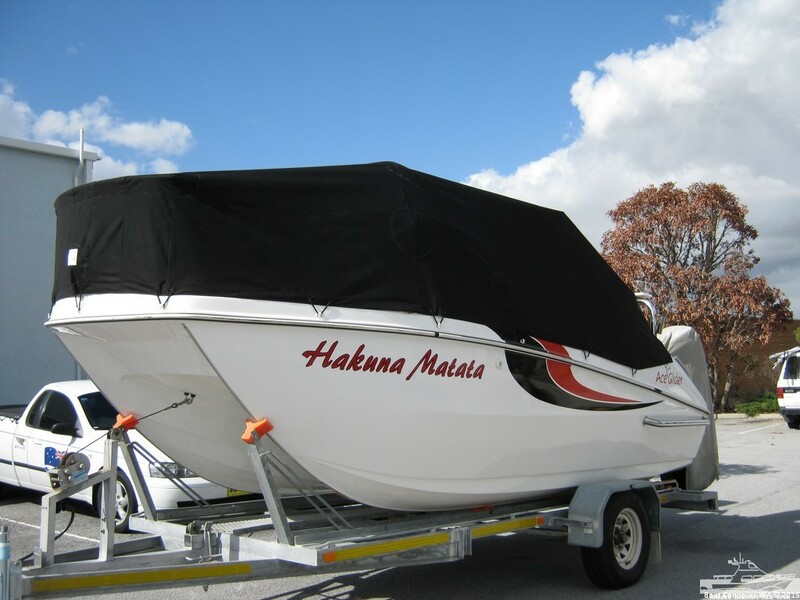 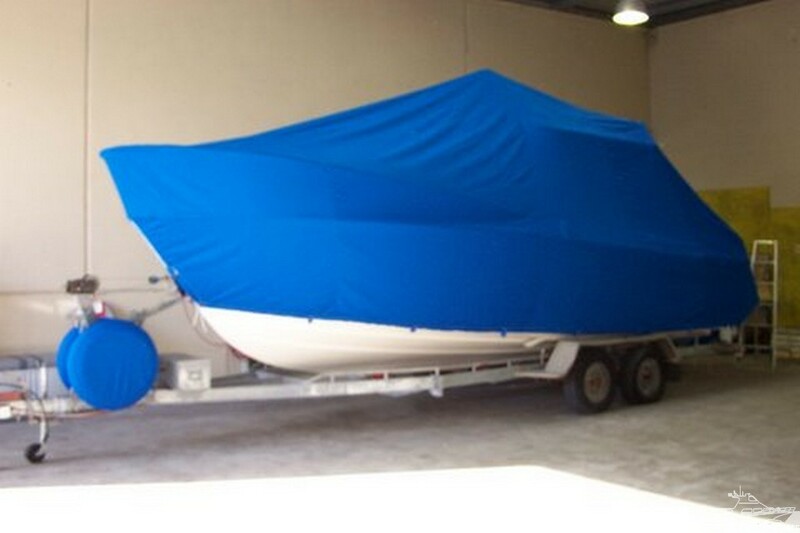 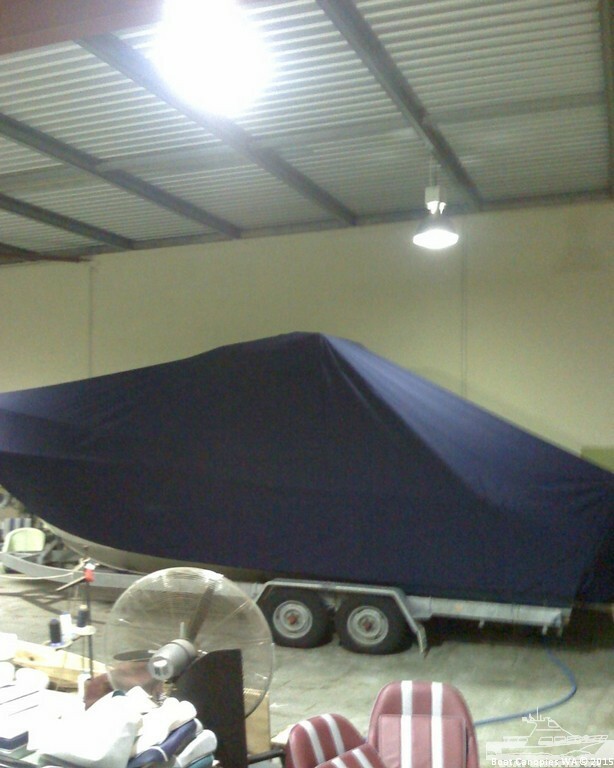 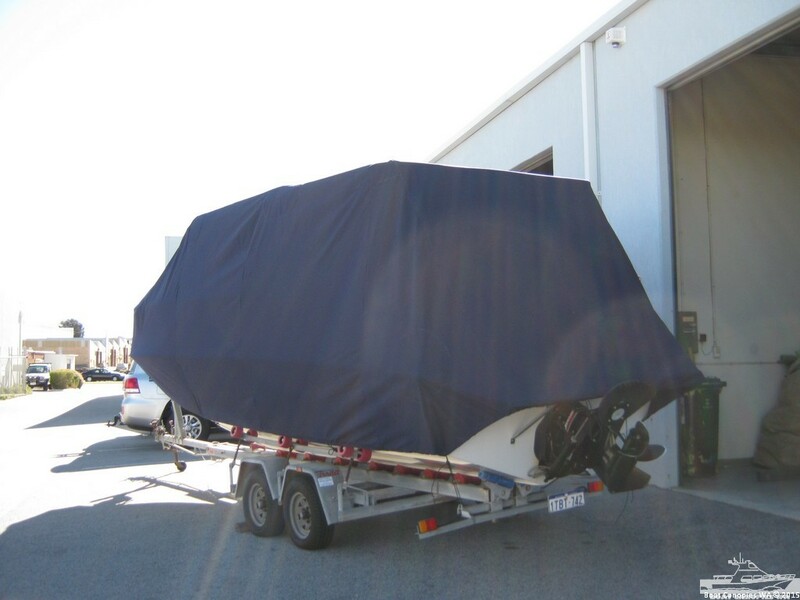 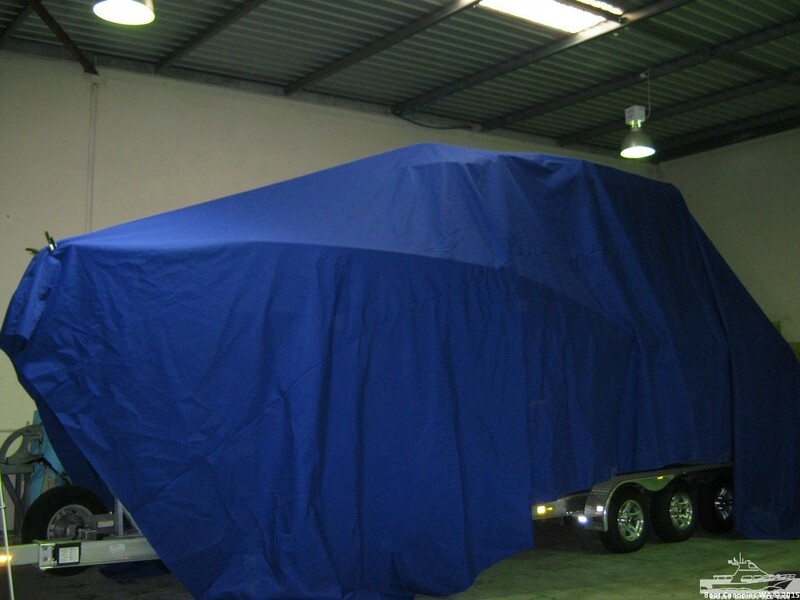 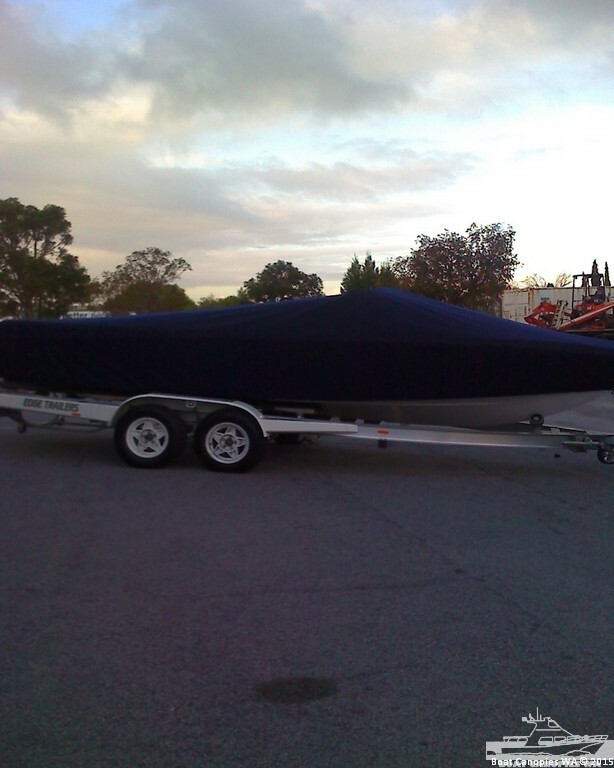 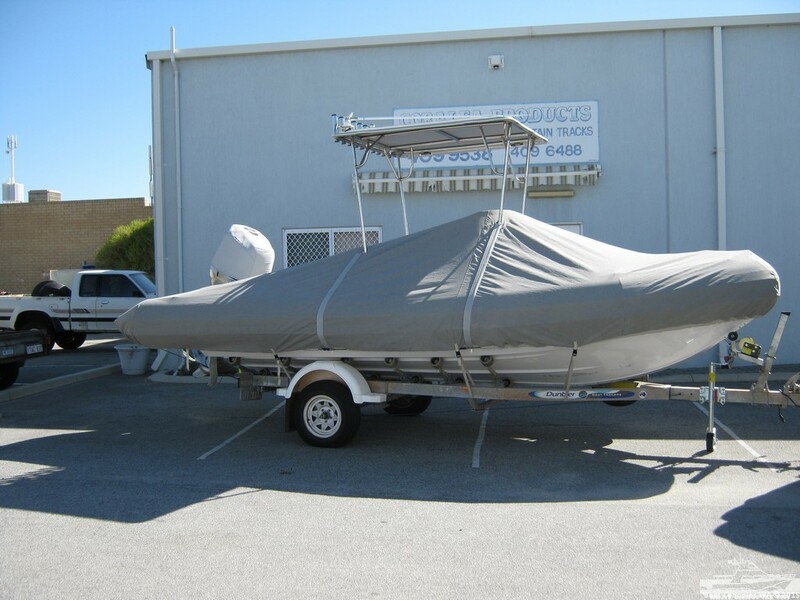 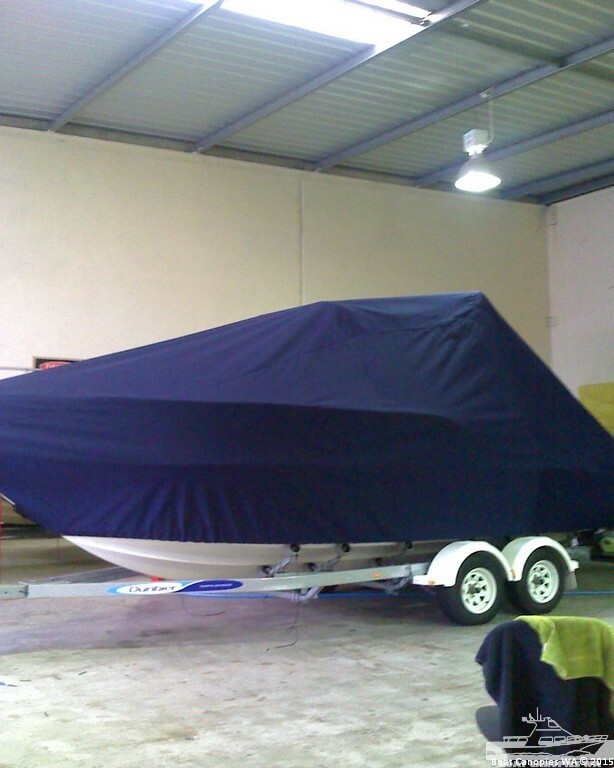 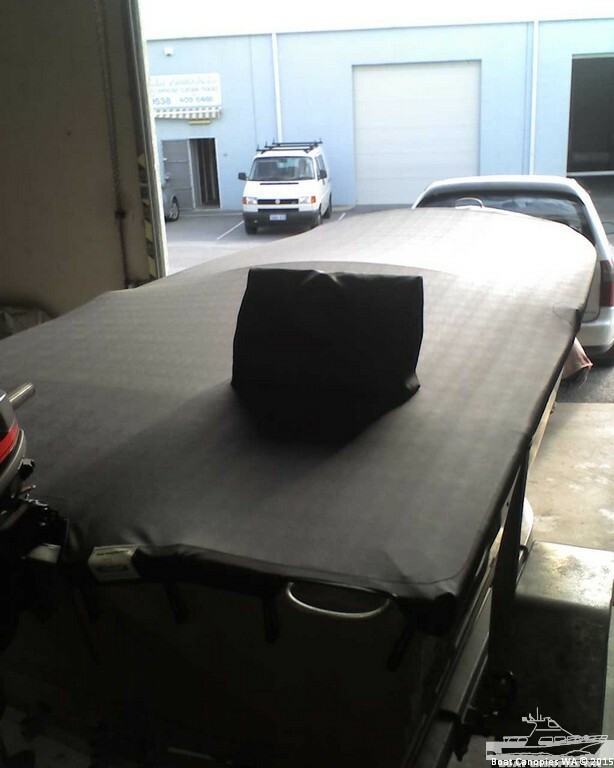 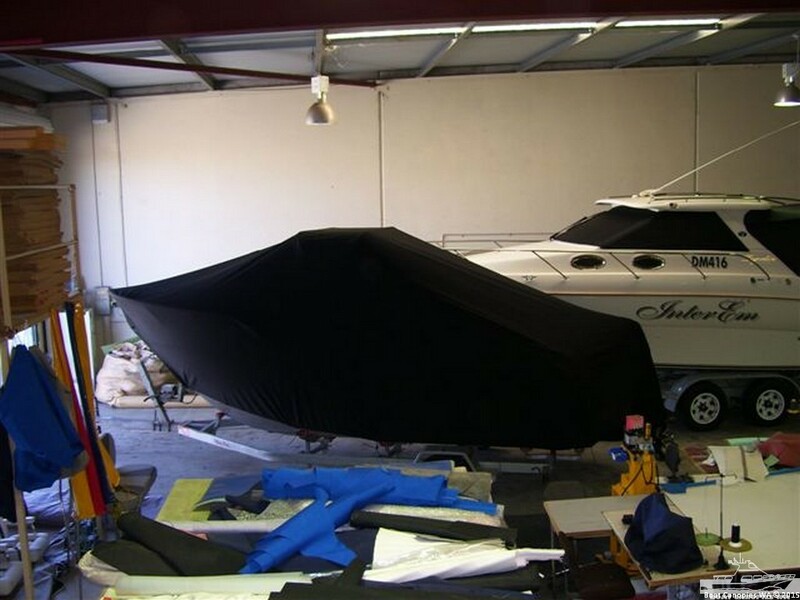 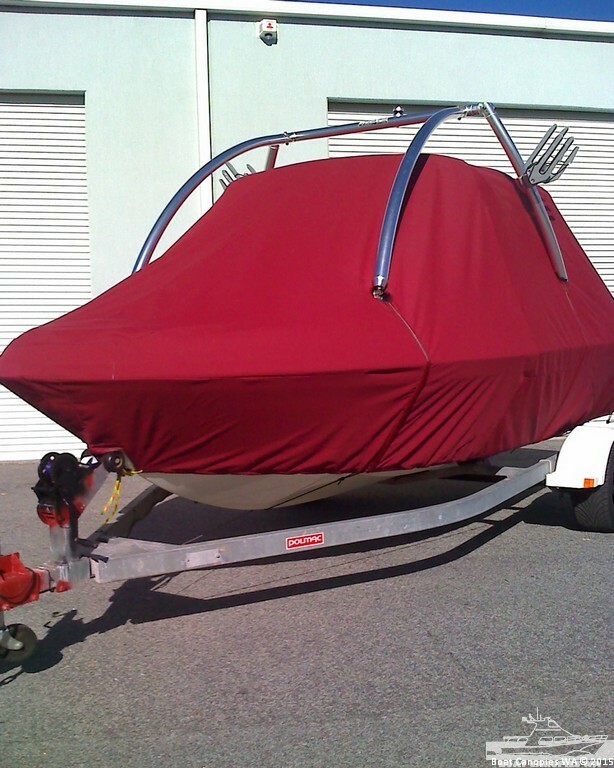 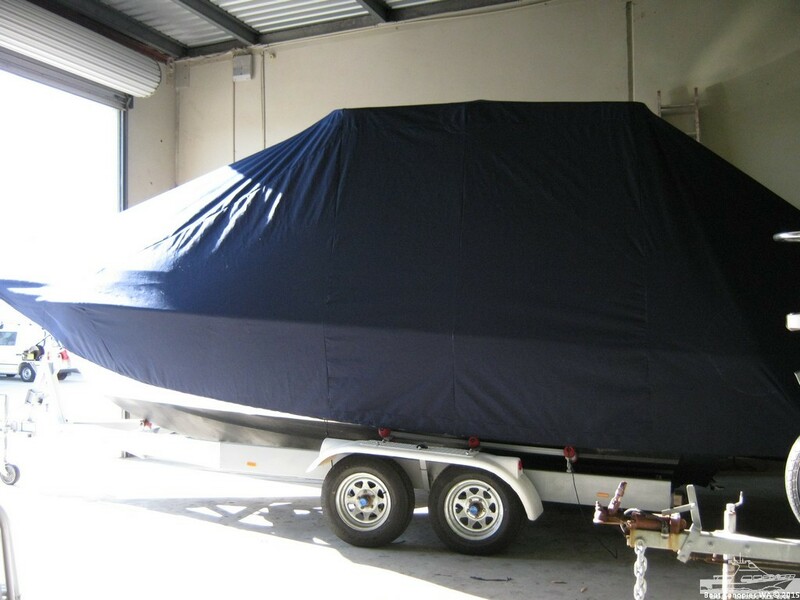 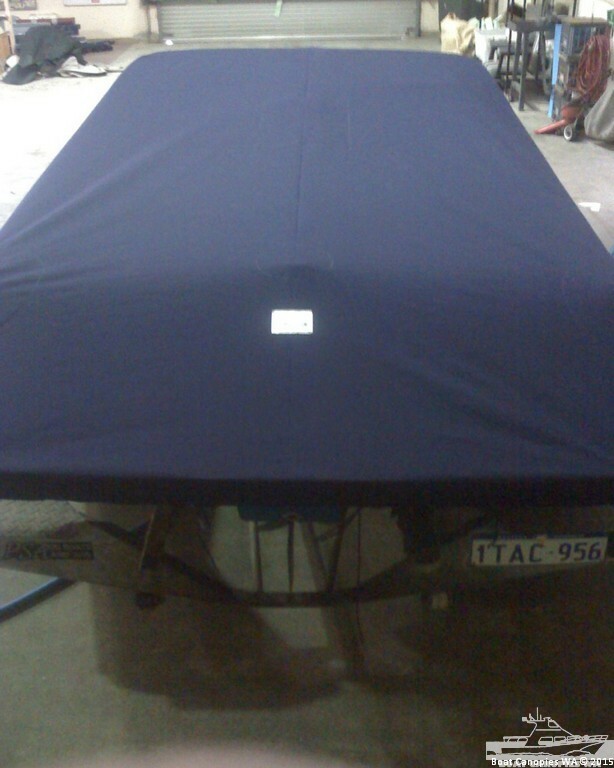 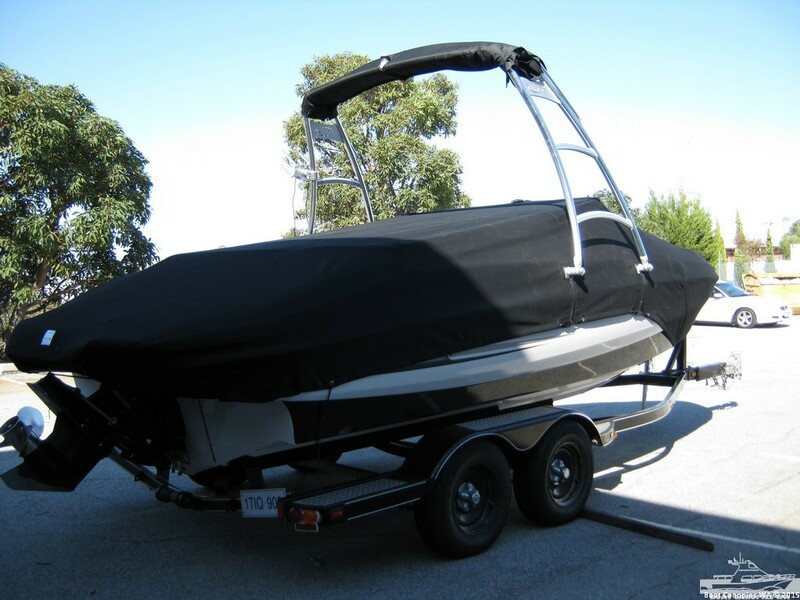 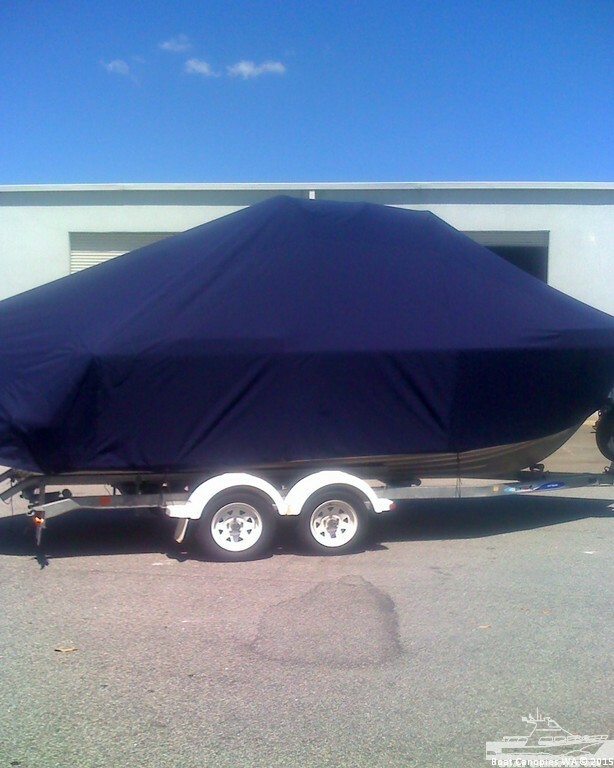 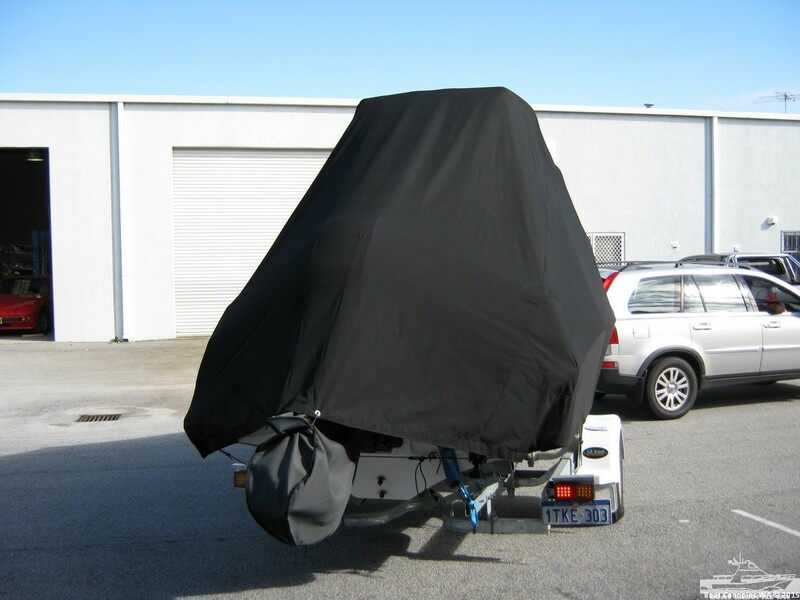 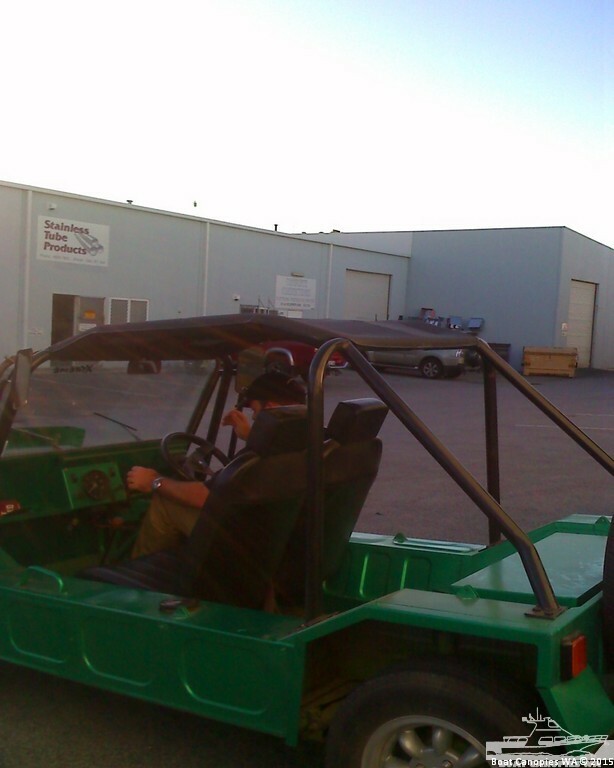 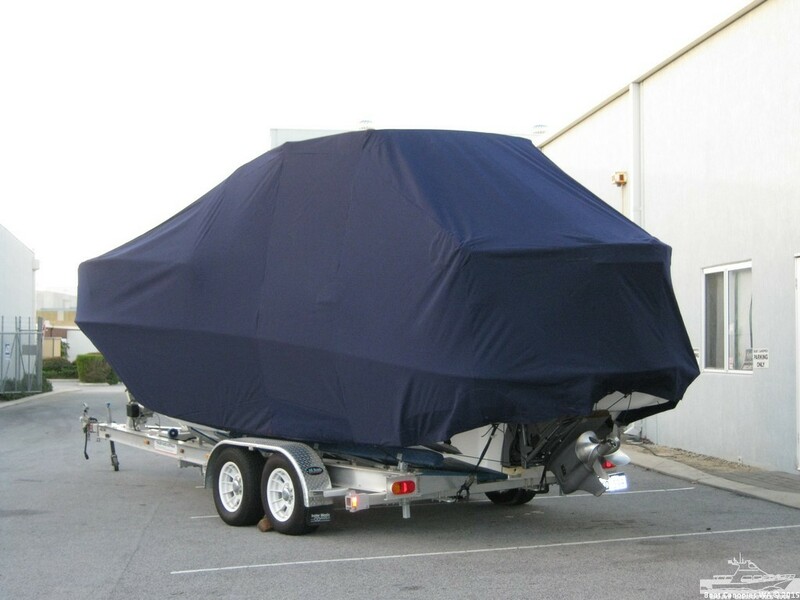 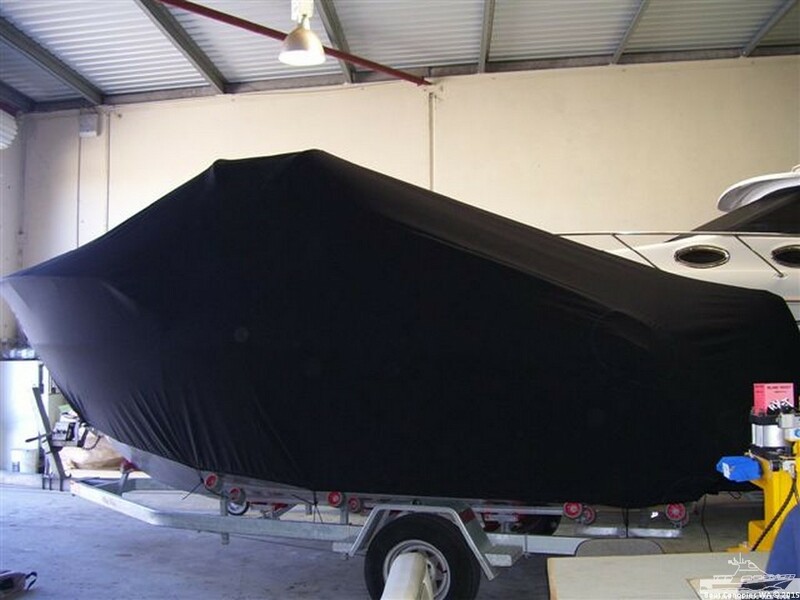 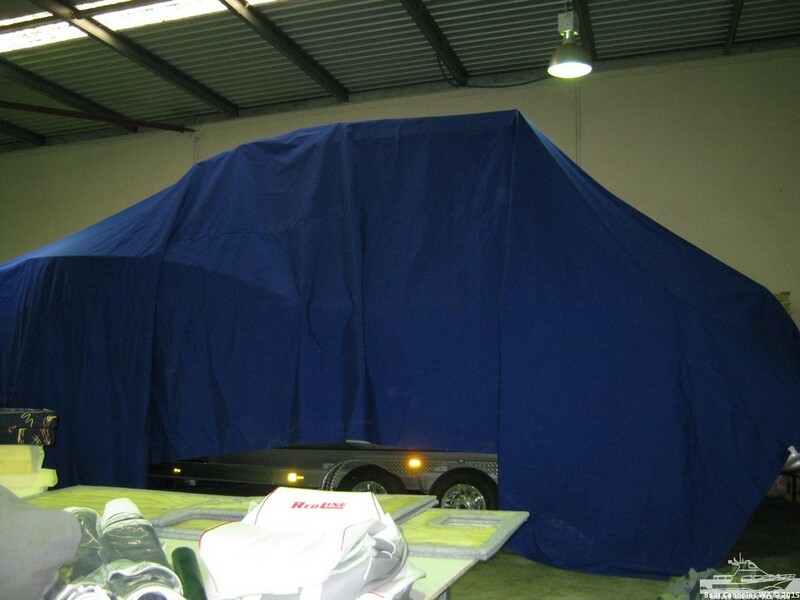 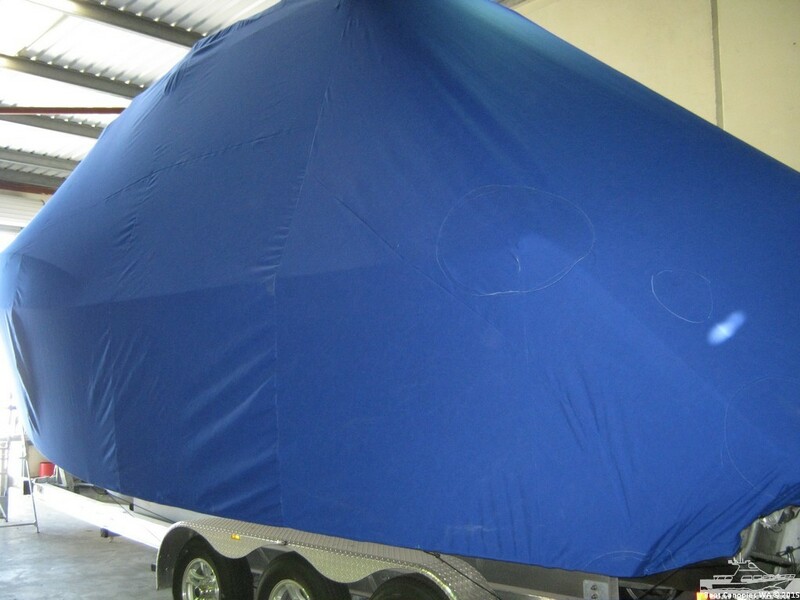 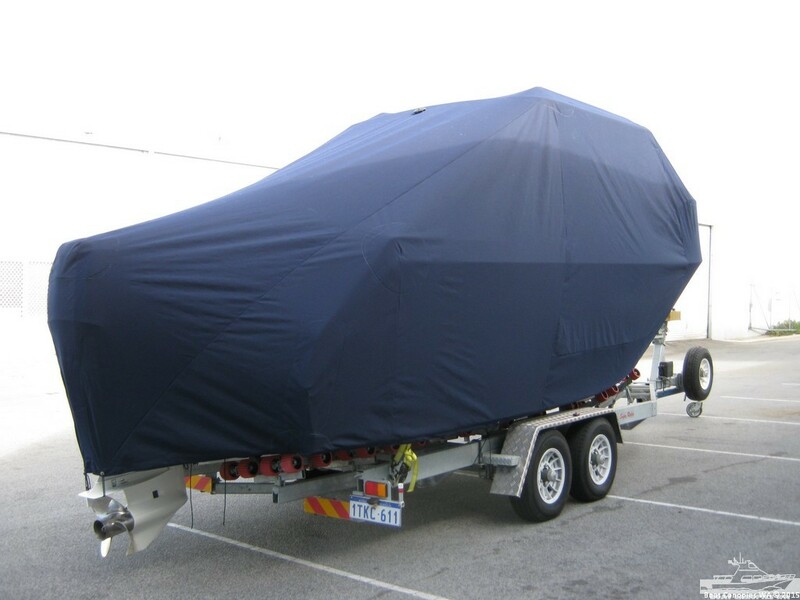 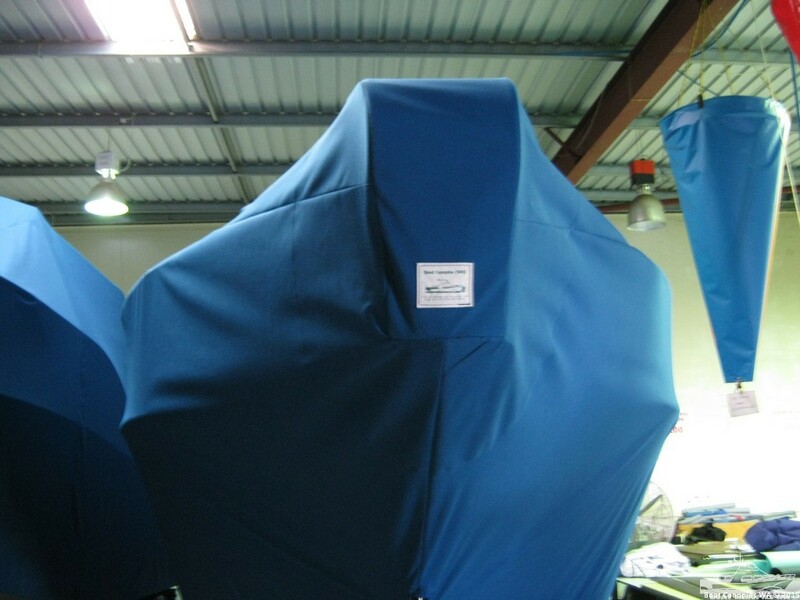 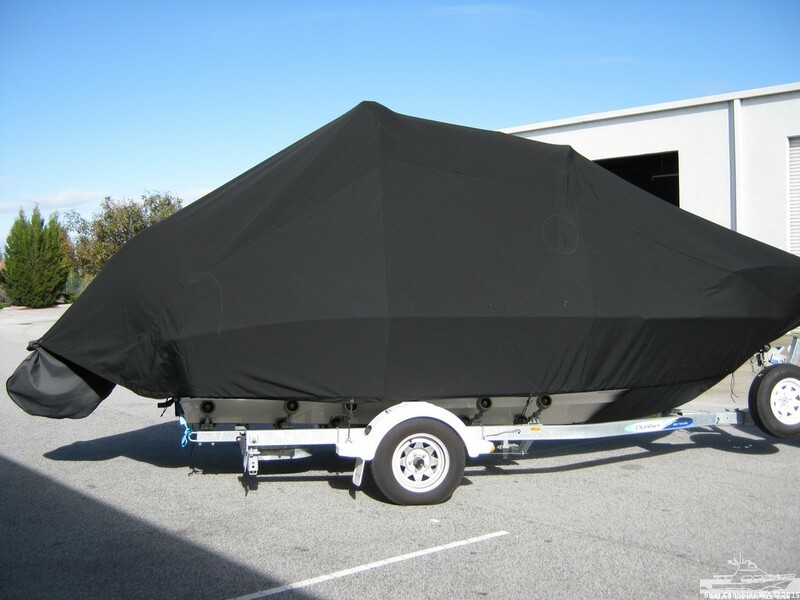 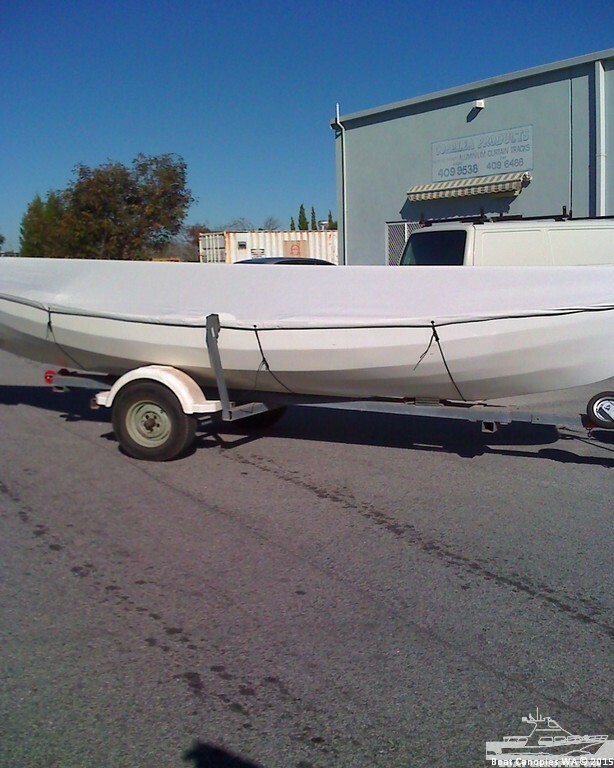 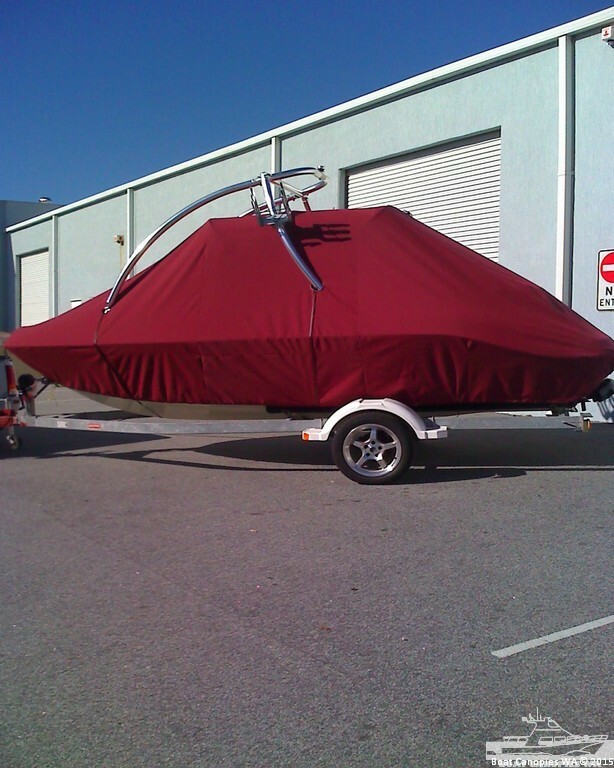 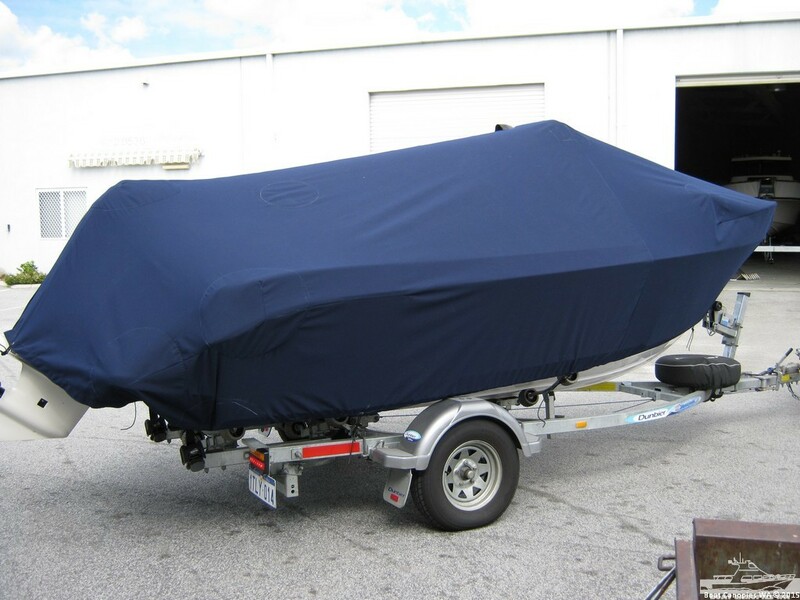 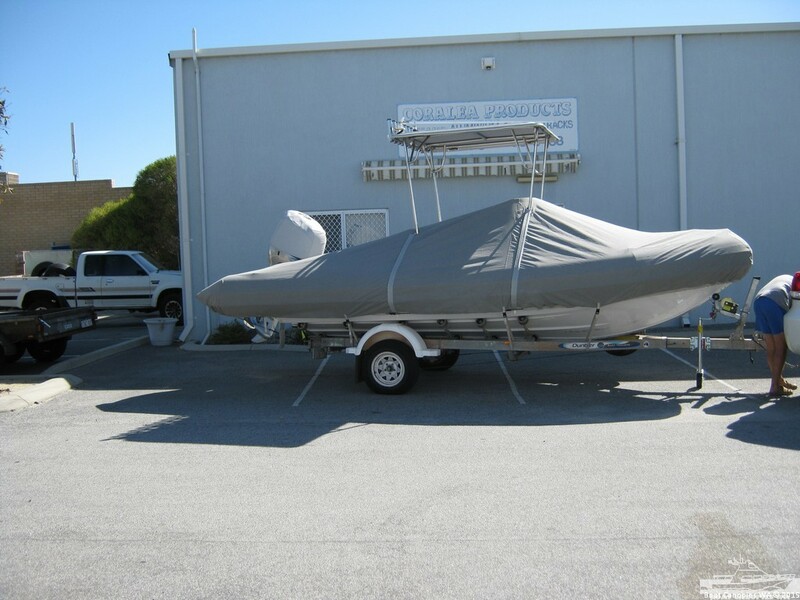 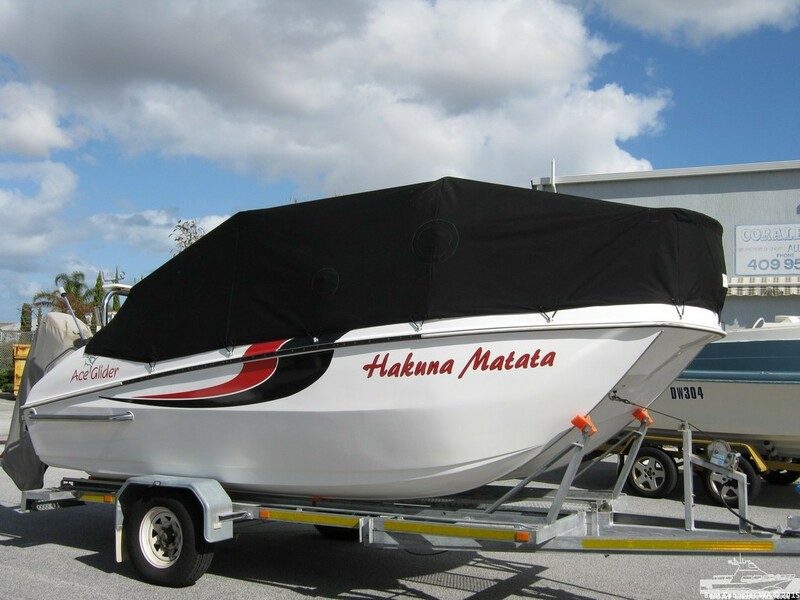 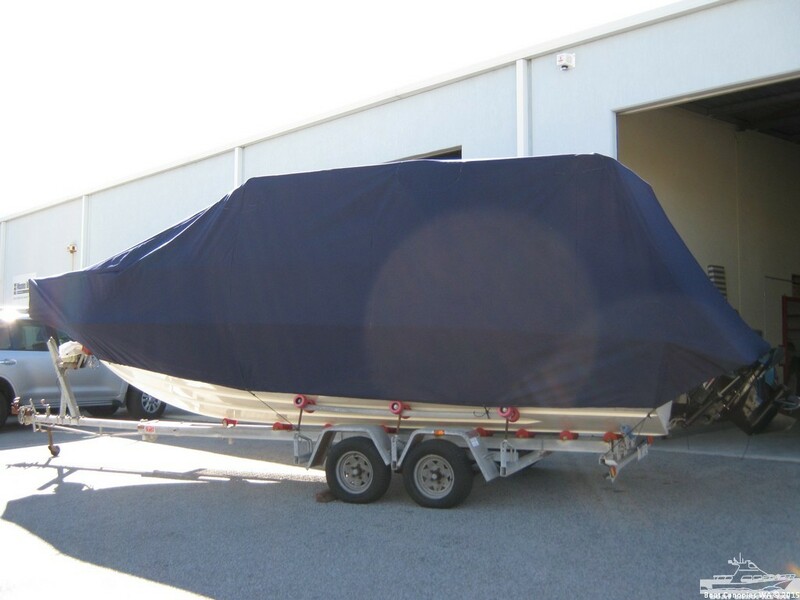 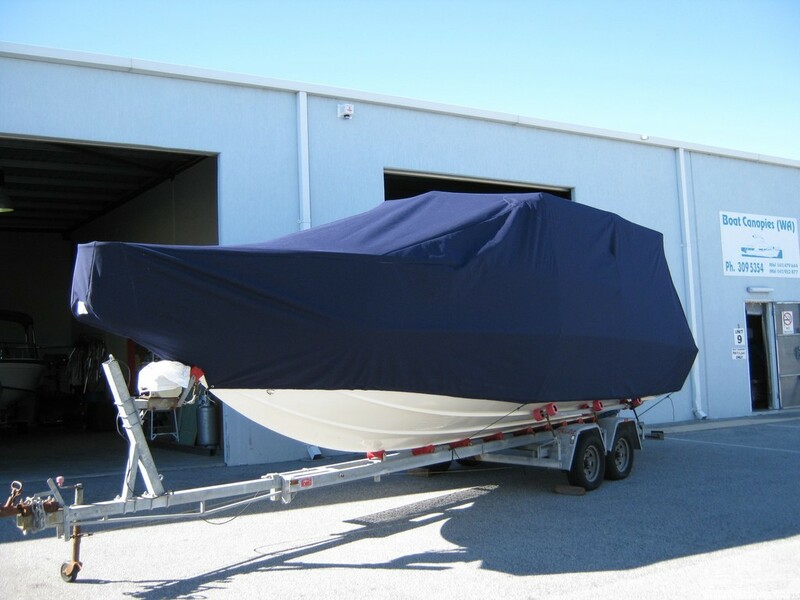 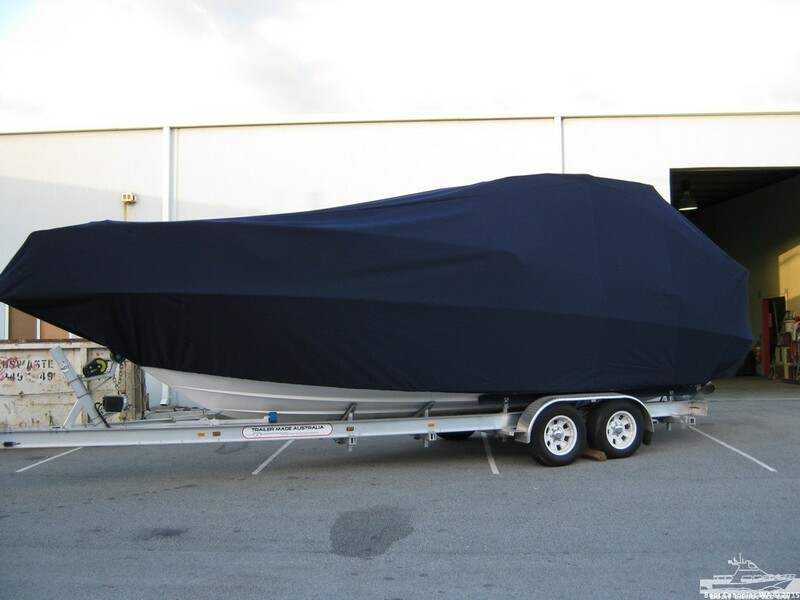 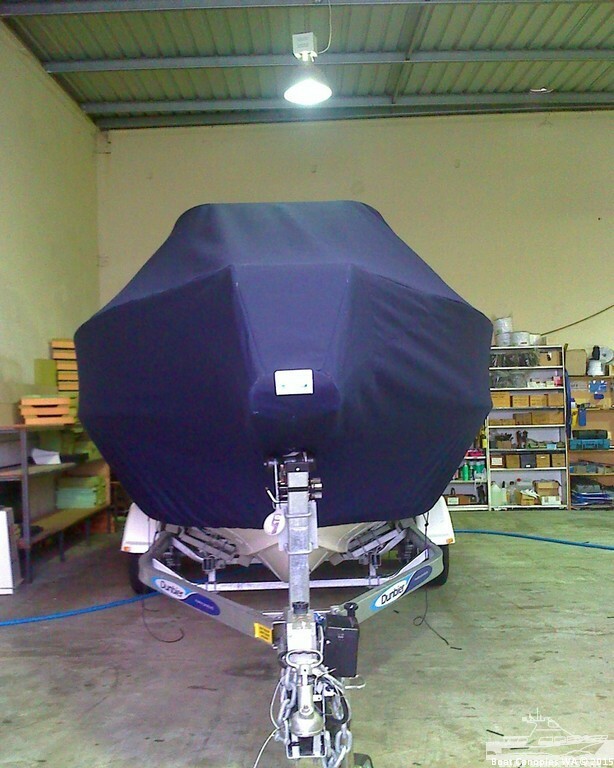 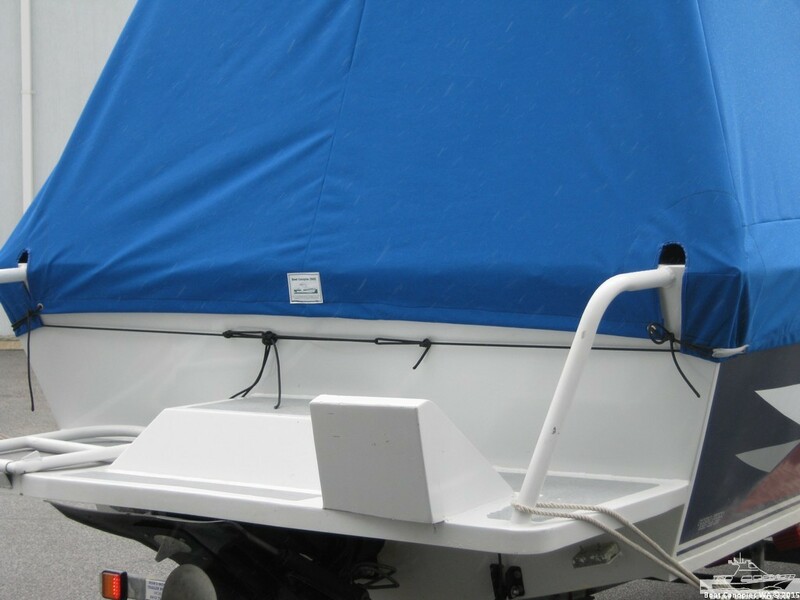 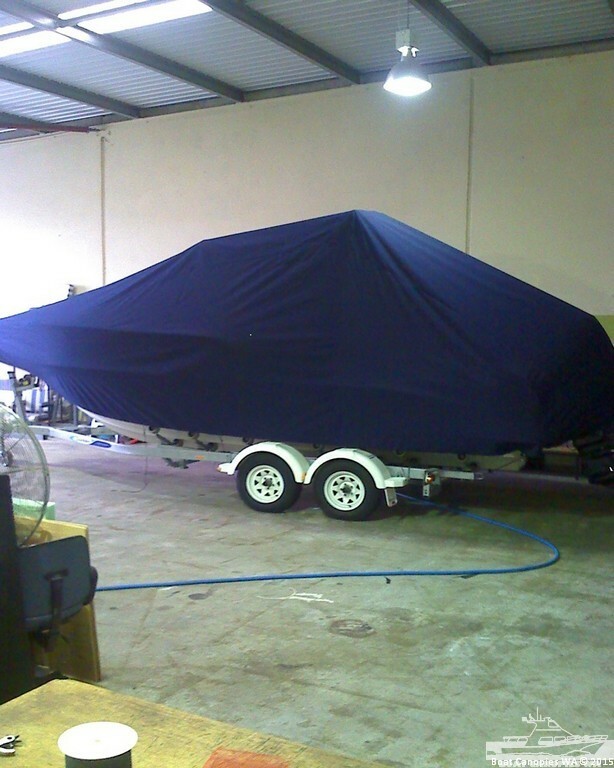 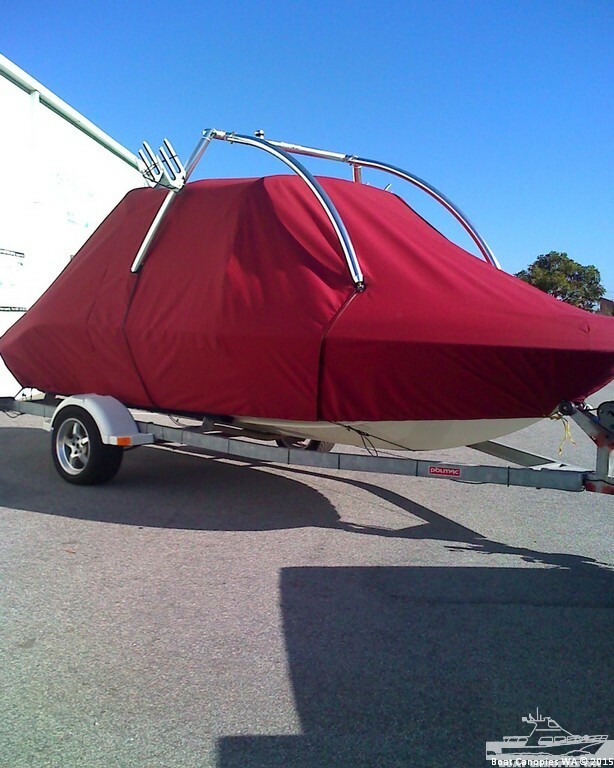 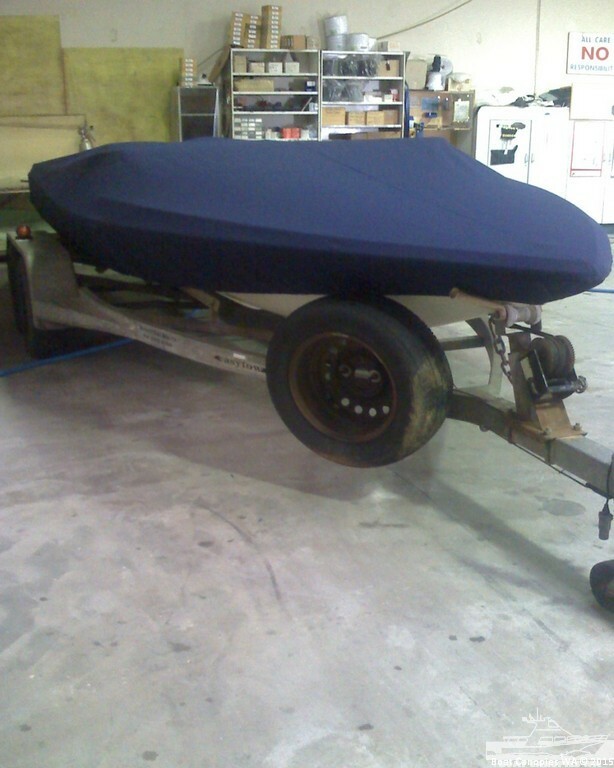 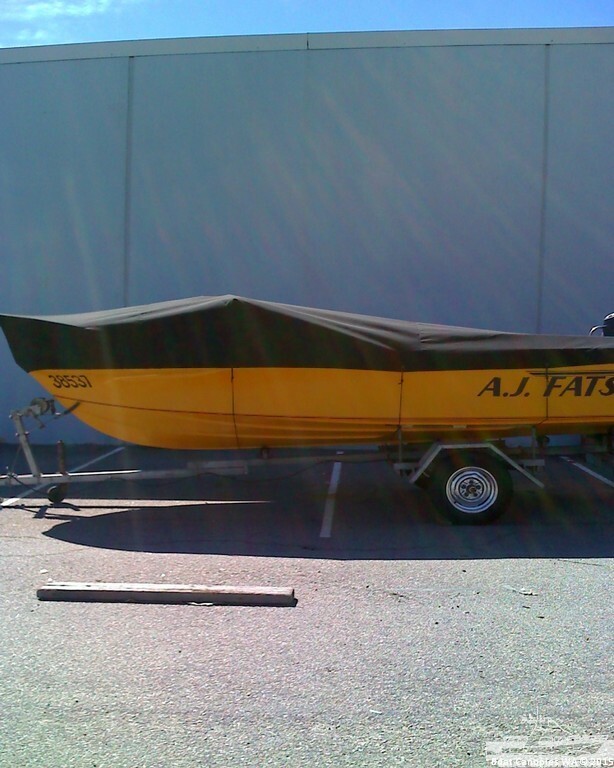 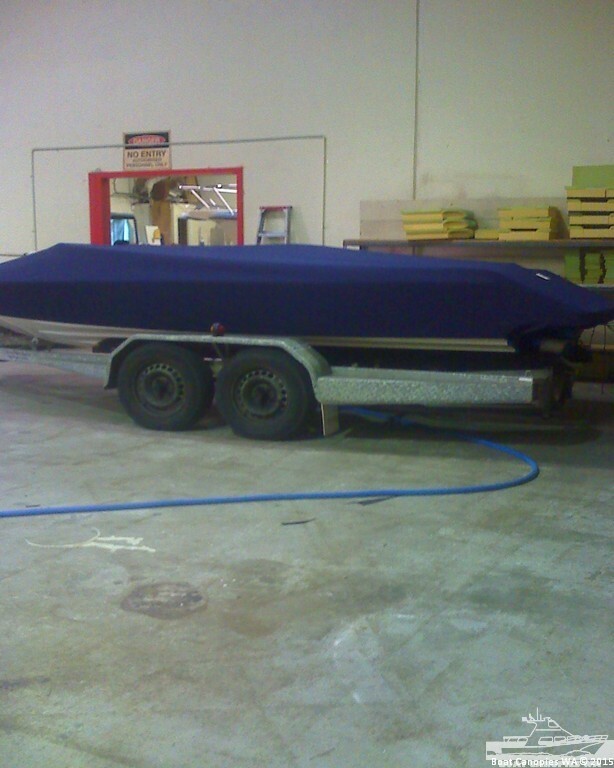 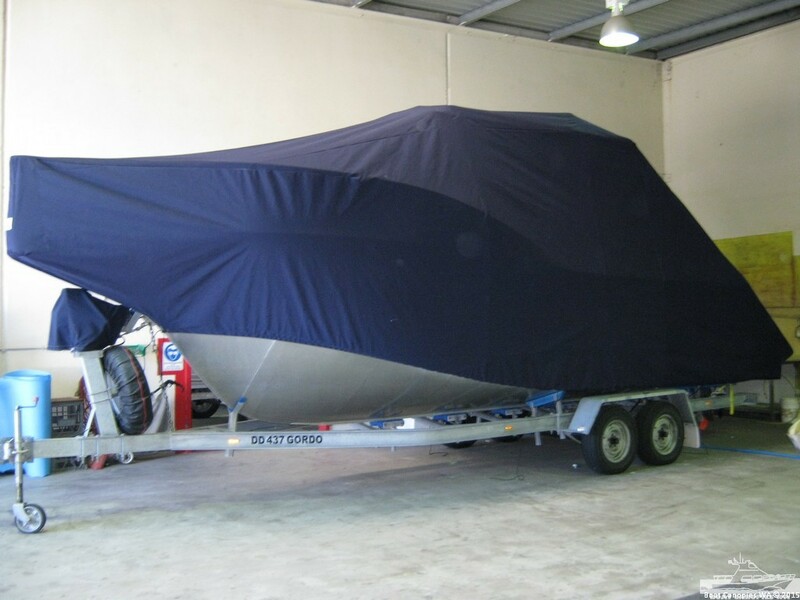 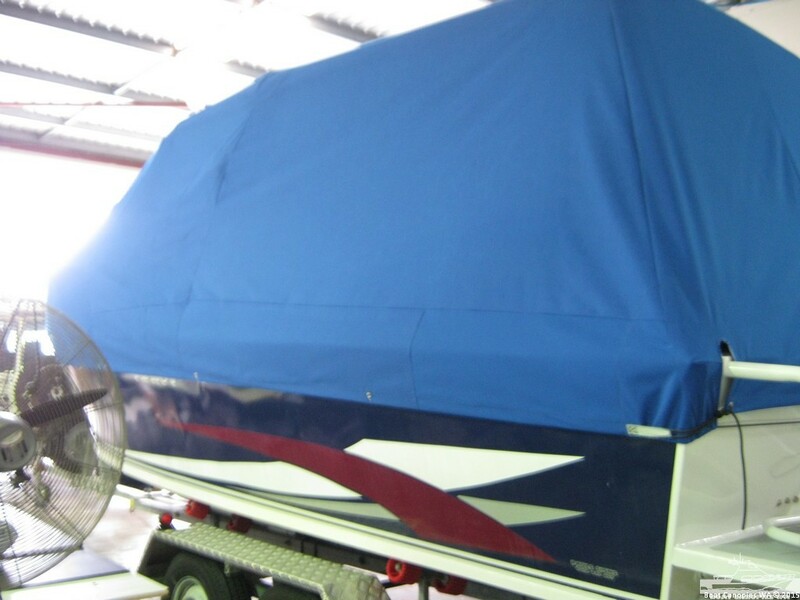 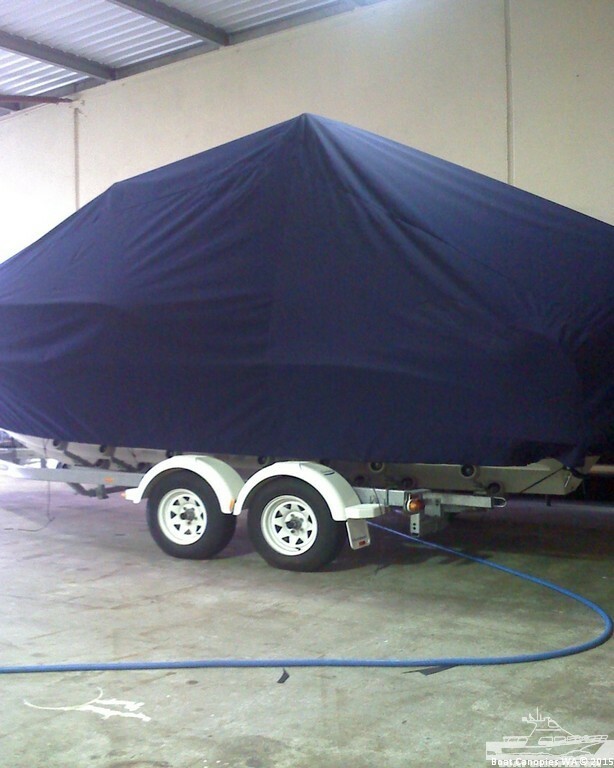 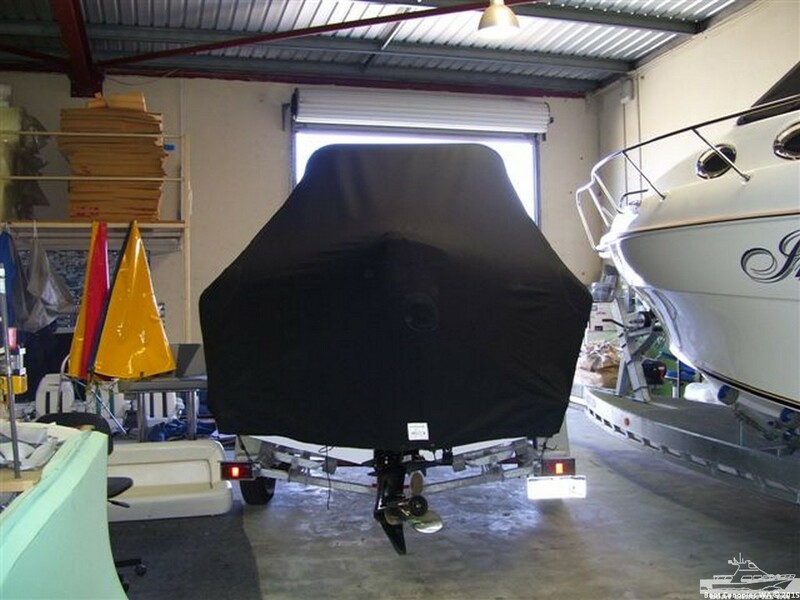 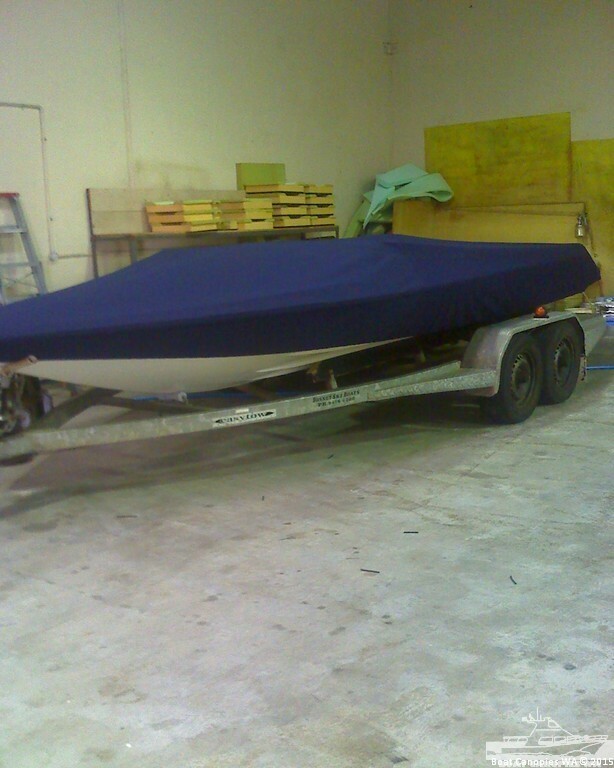 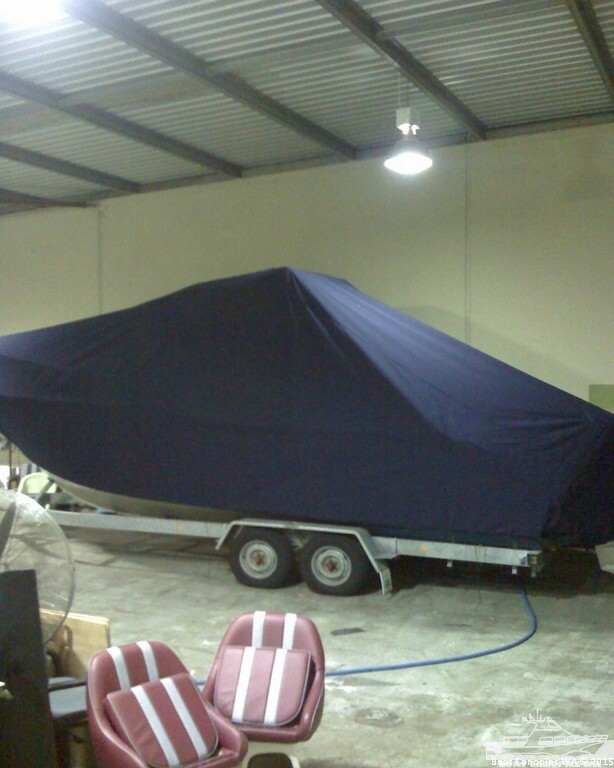 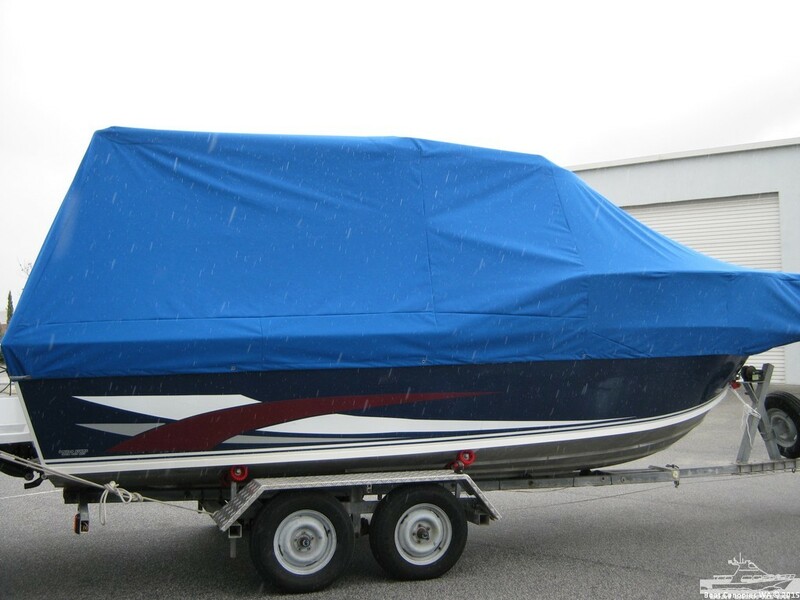 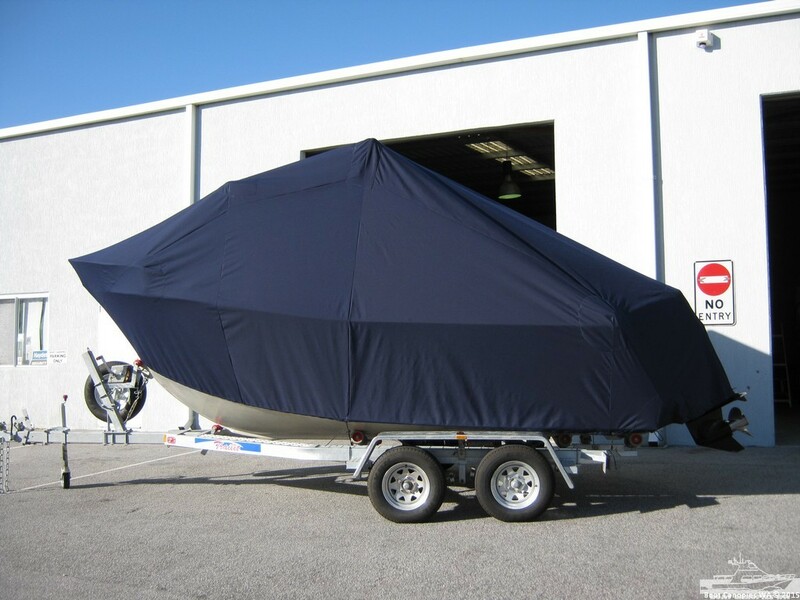 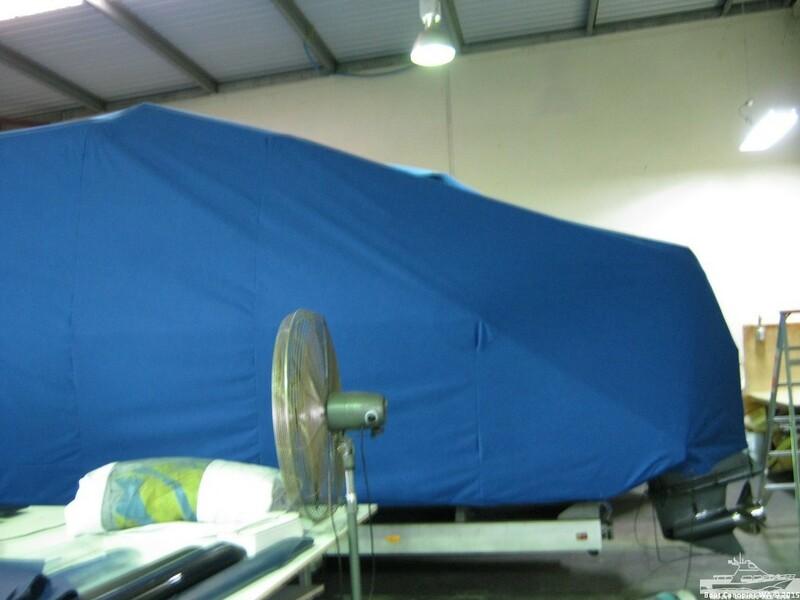 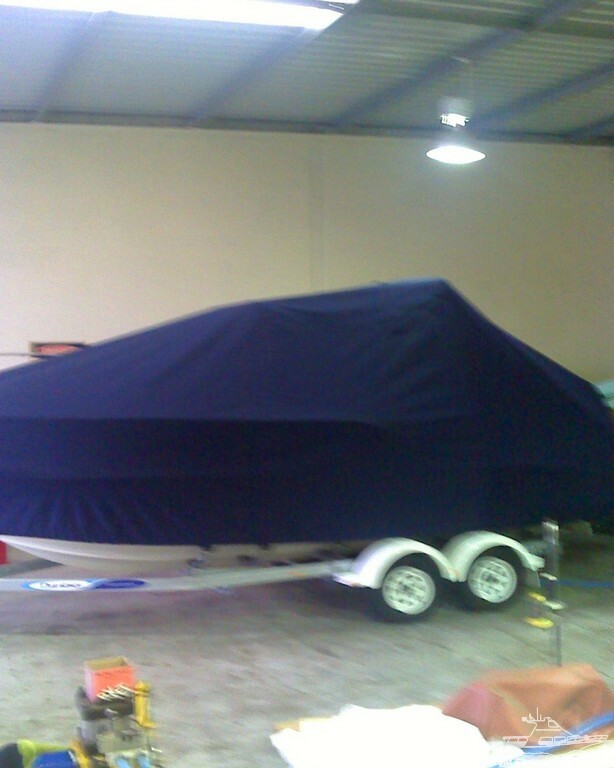 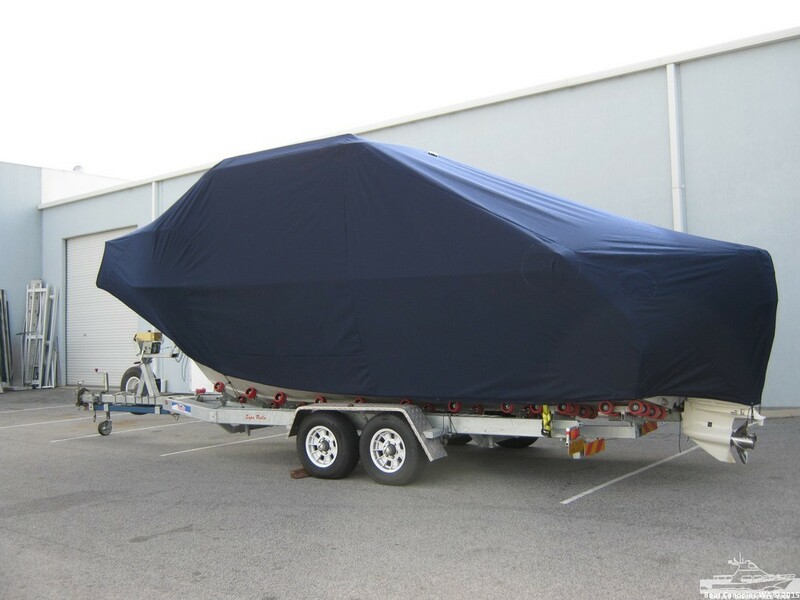 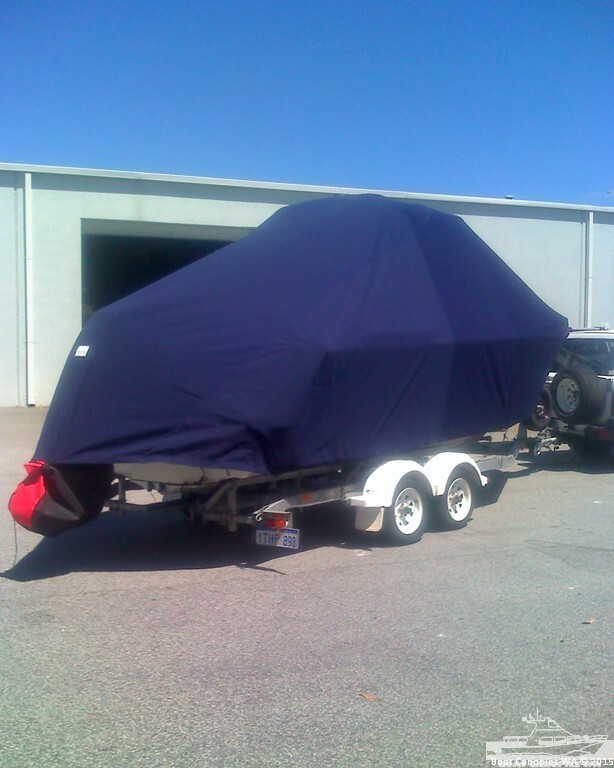 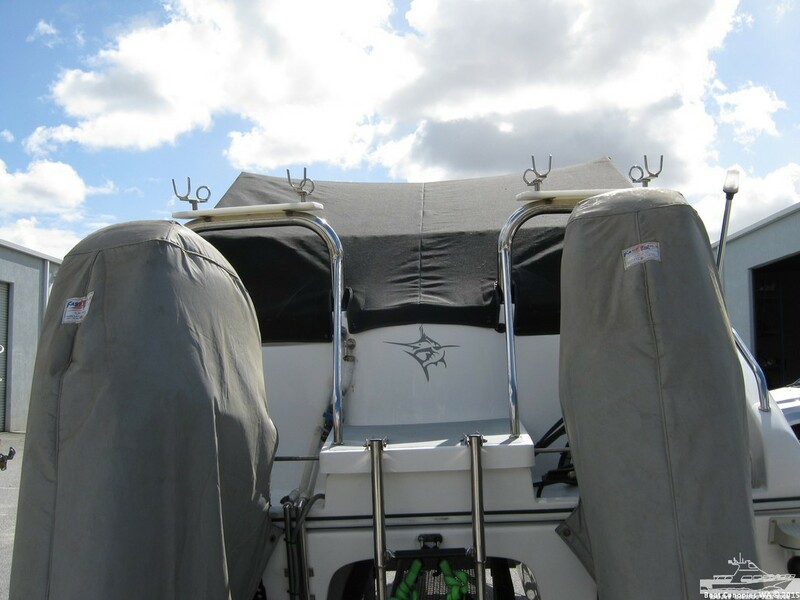 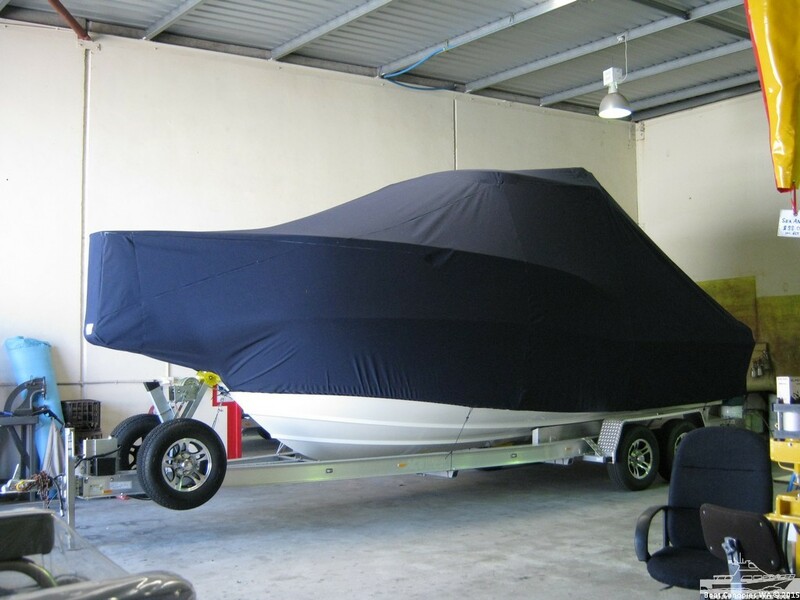 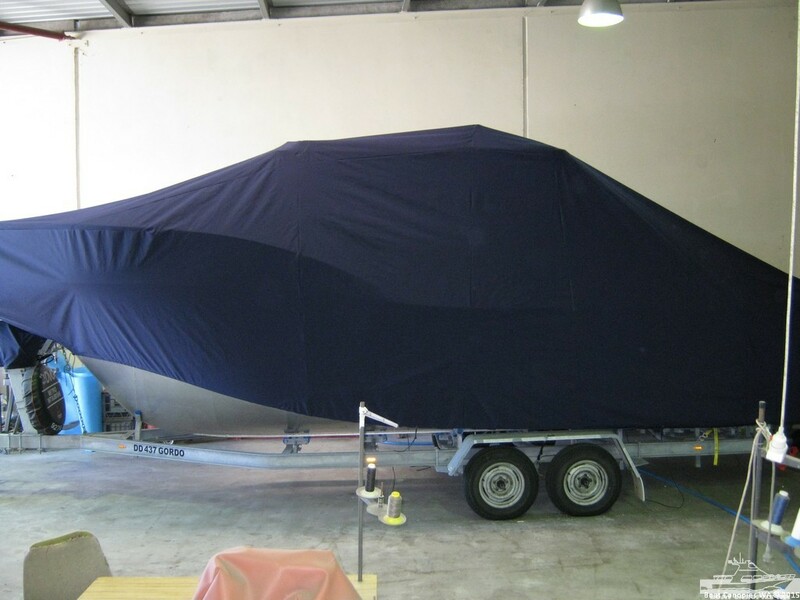 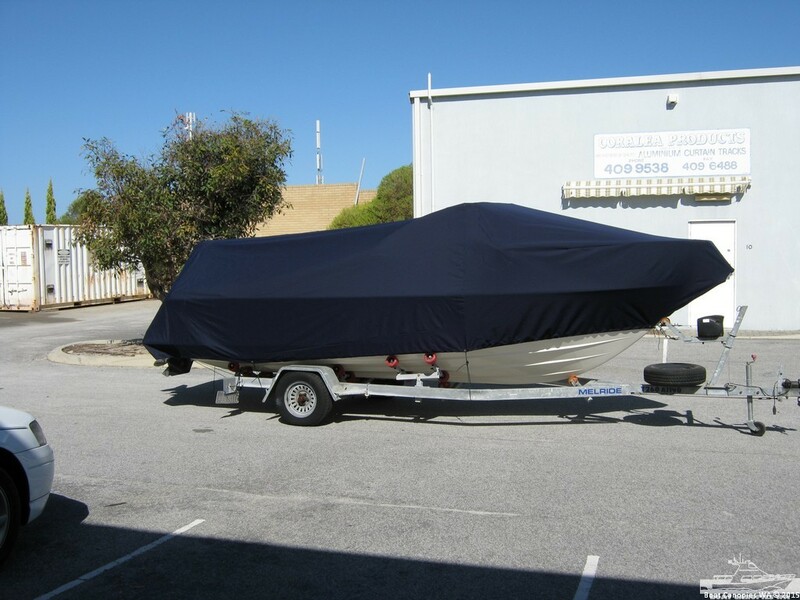 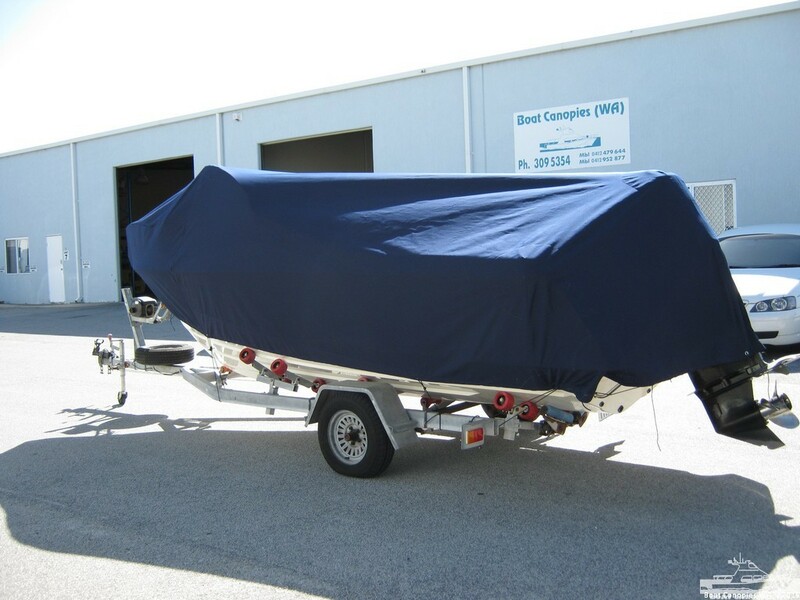 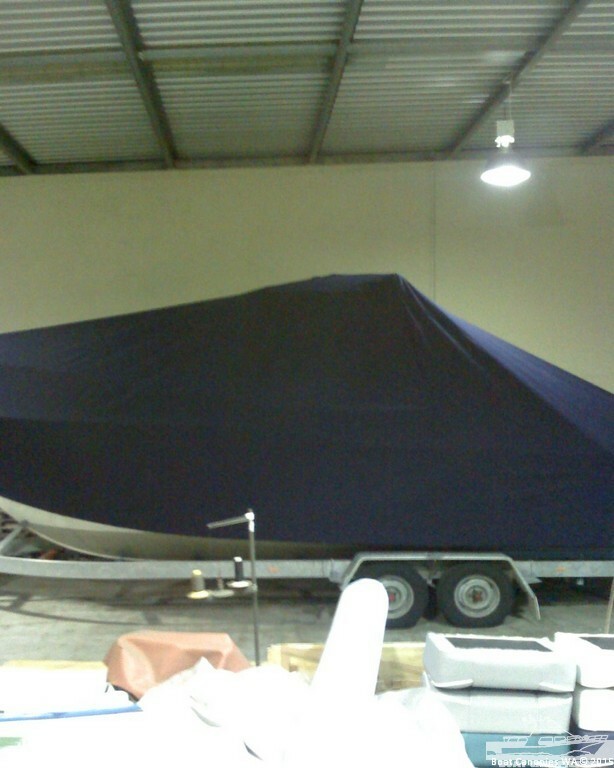 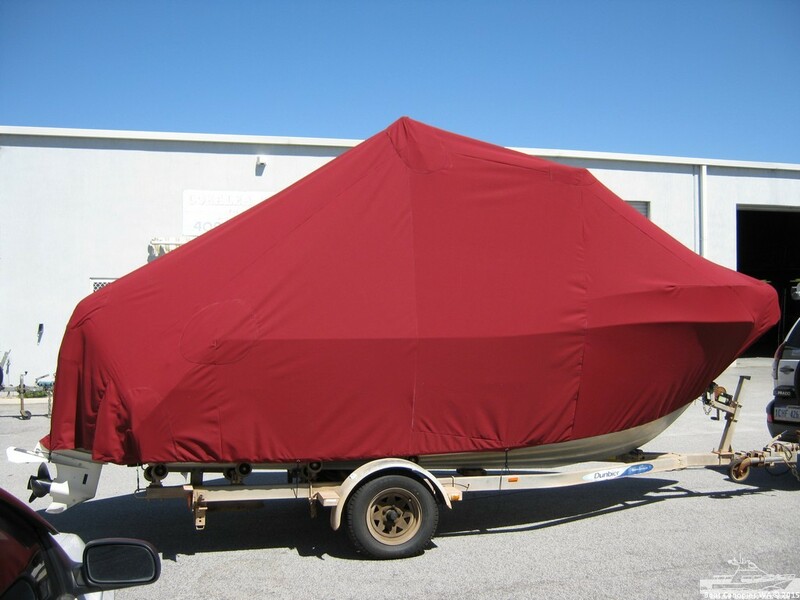 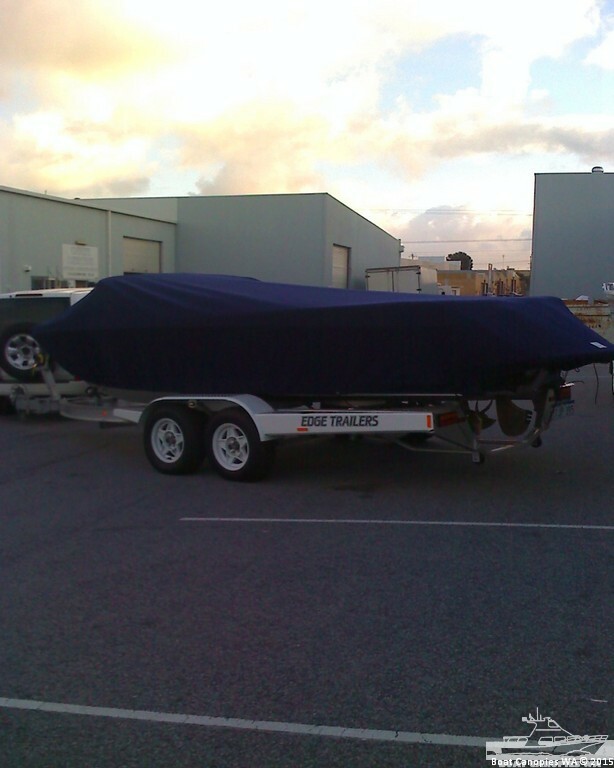 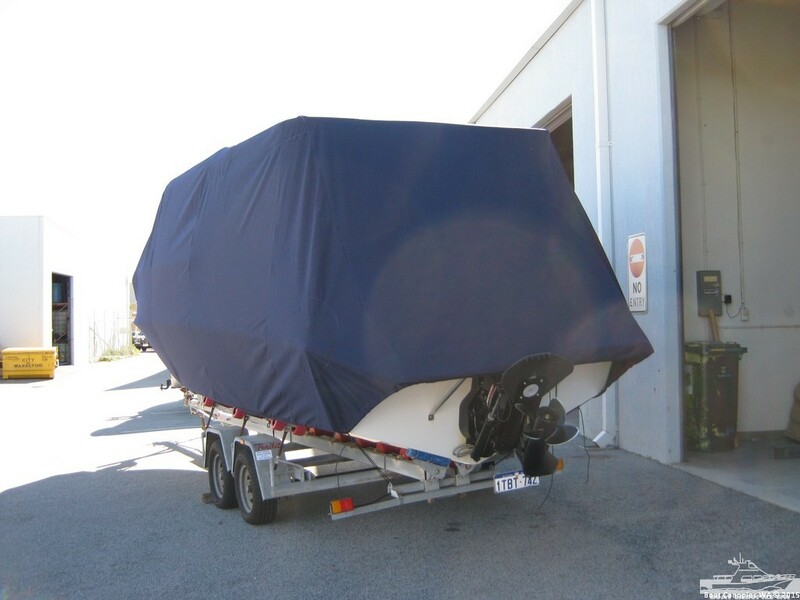 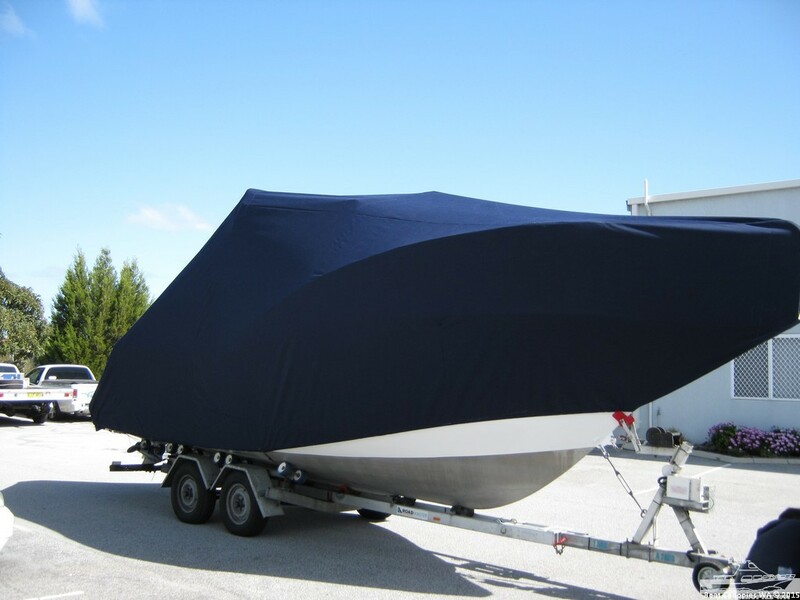 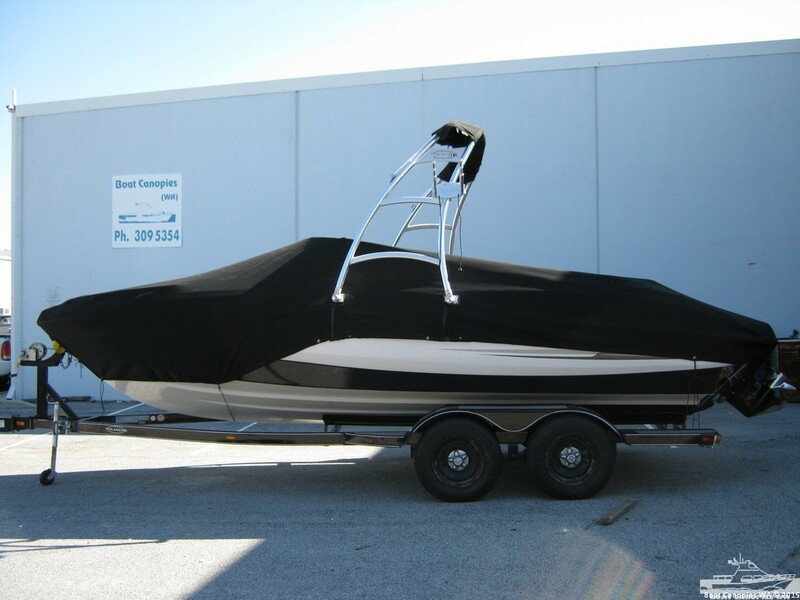 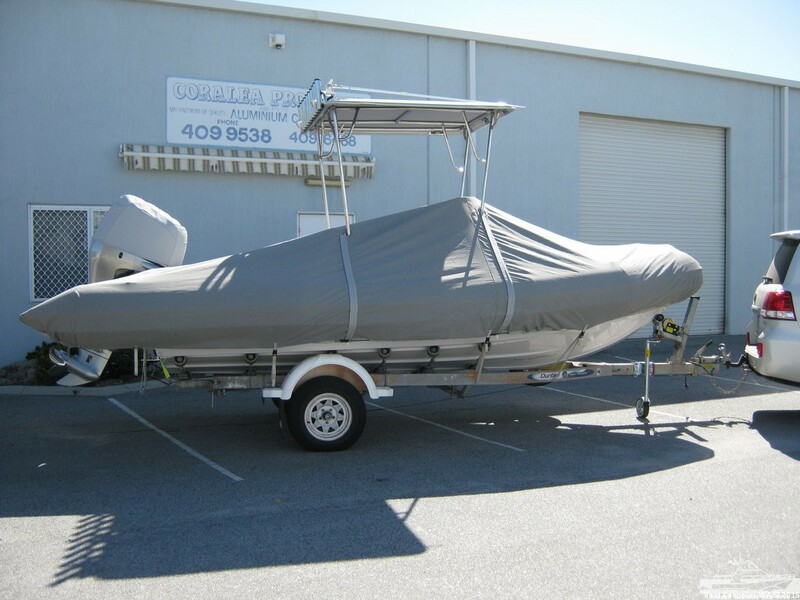 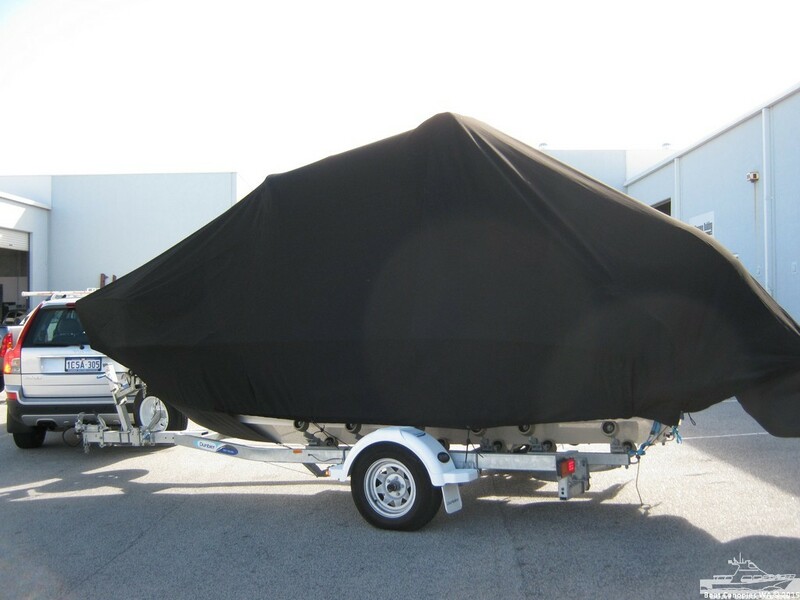 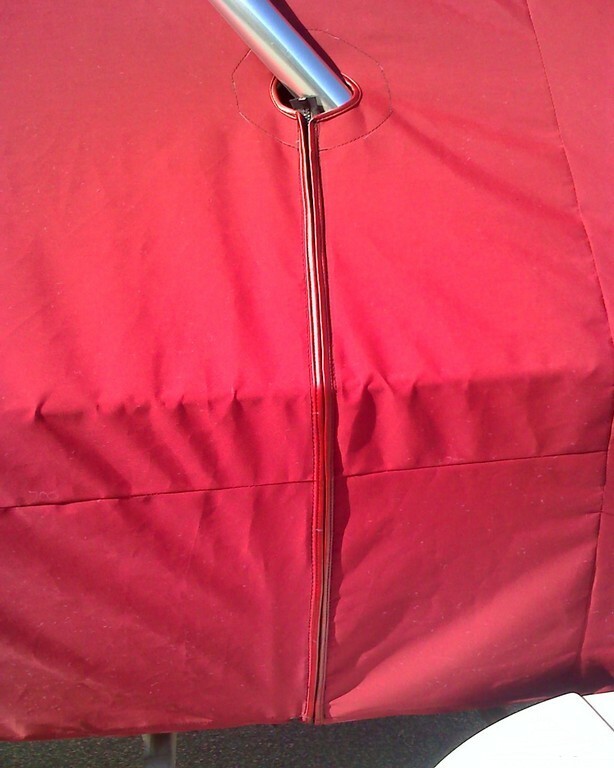 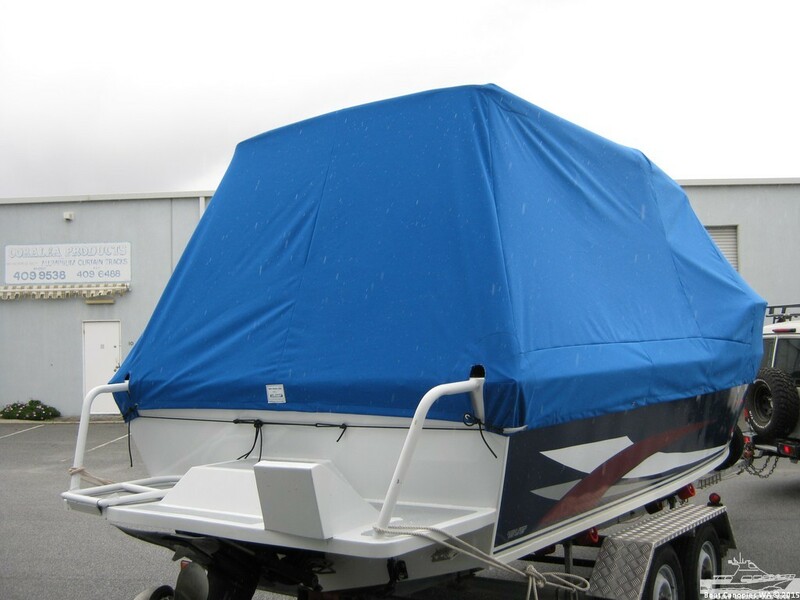 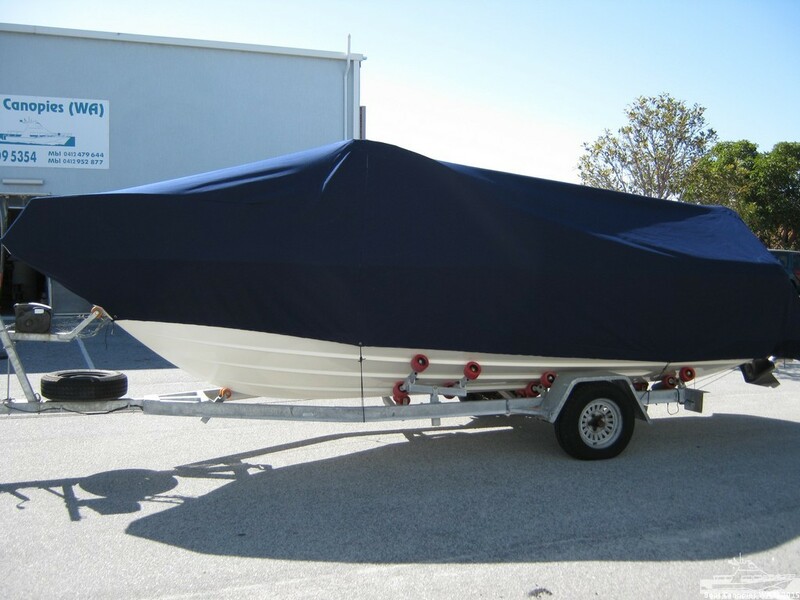 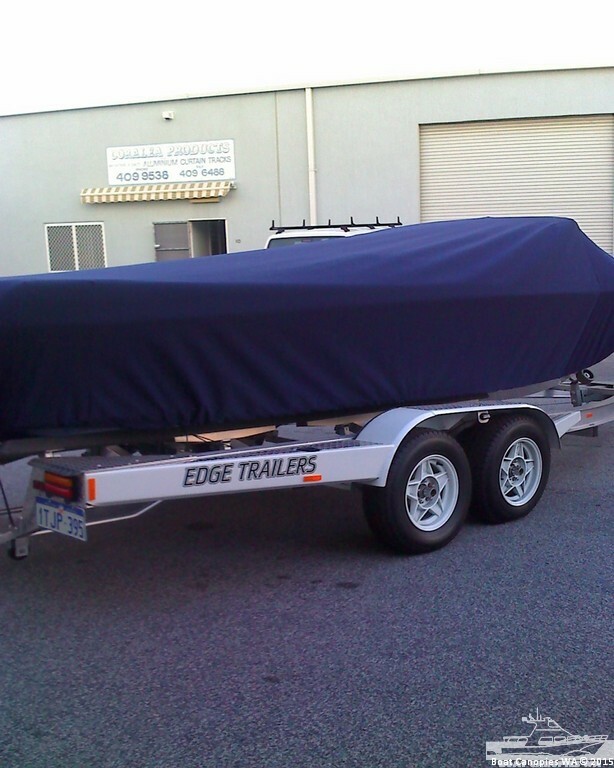 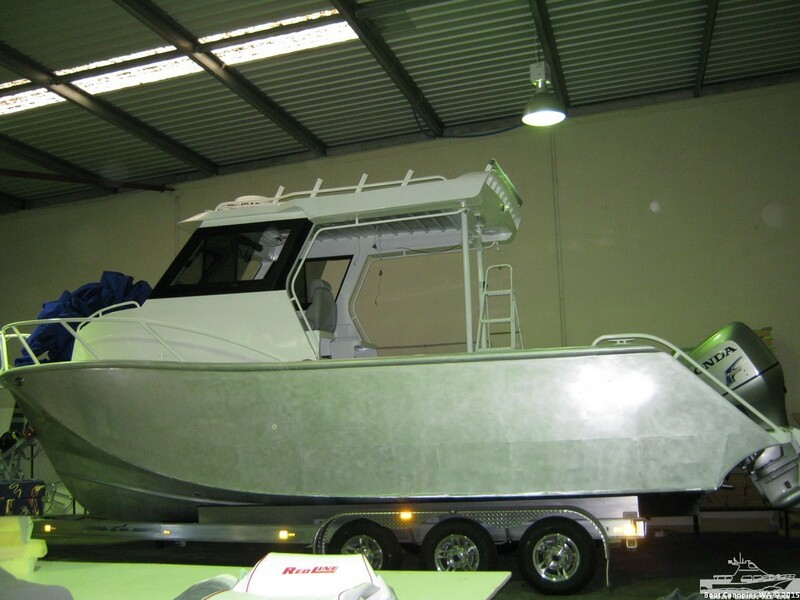 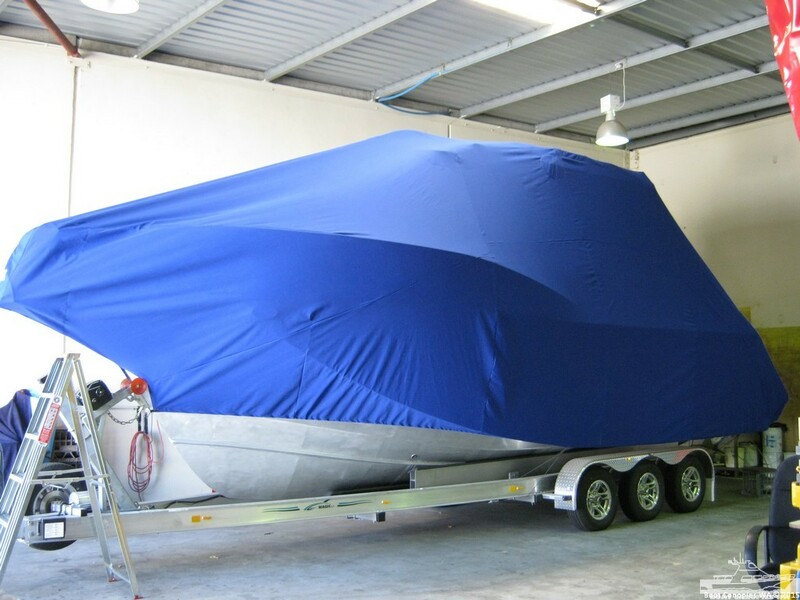 Boat cover are custom made to suit your boat. 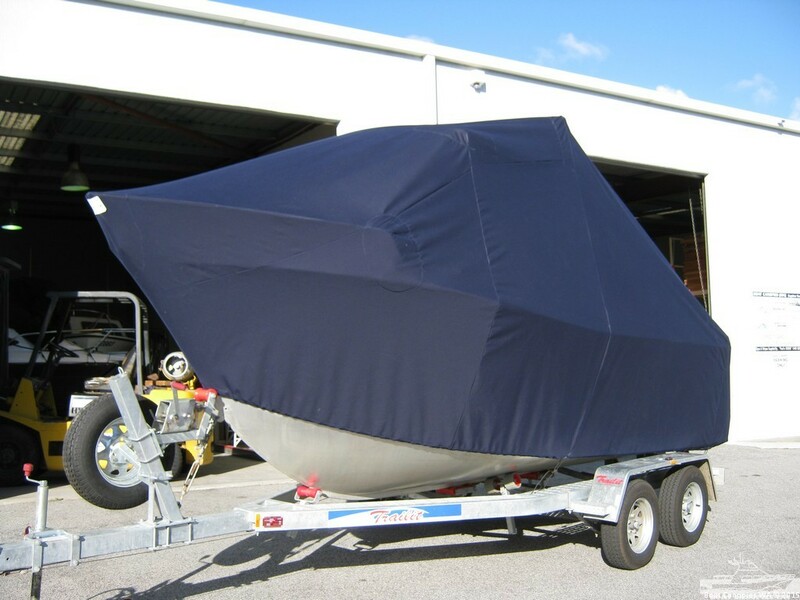 Made from acrylic canvas .They cover the boat down to chines and over outboard with drawstring in bottom and a vent in top to allow the cover to breathe, All Covers are reinforced with soft carpet so not to damage boat where the cover touches the boat. 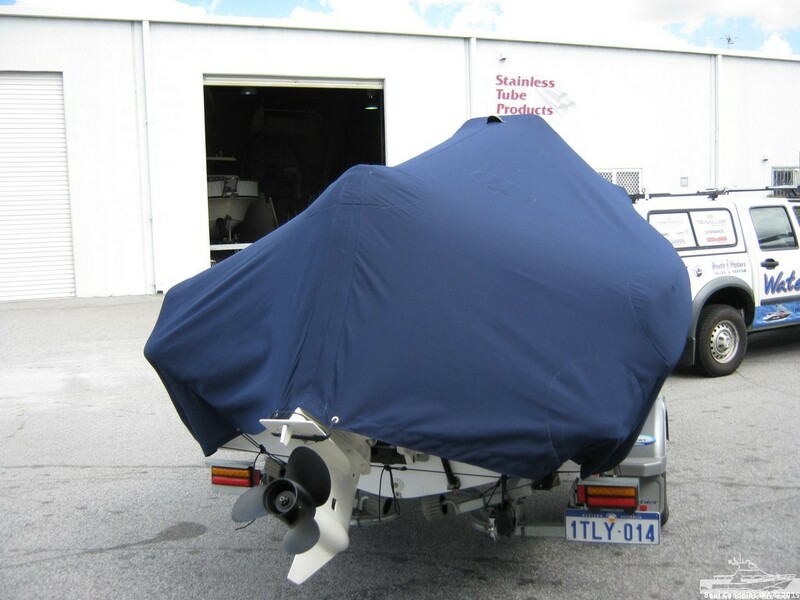 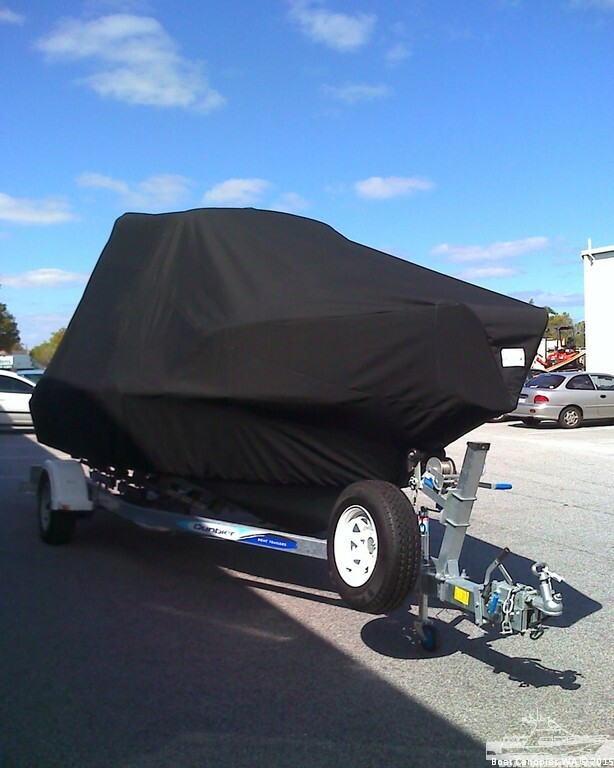 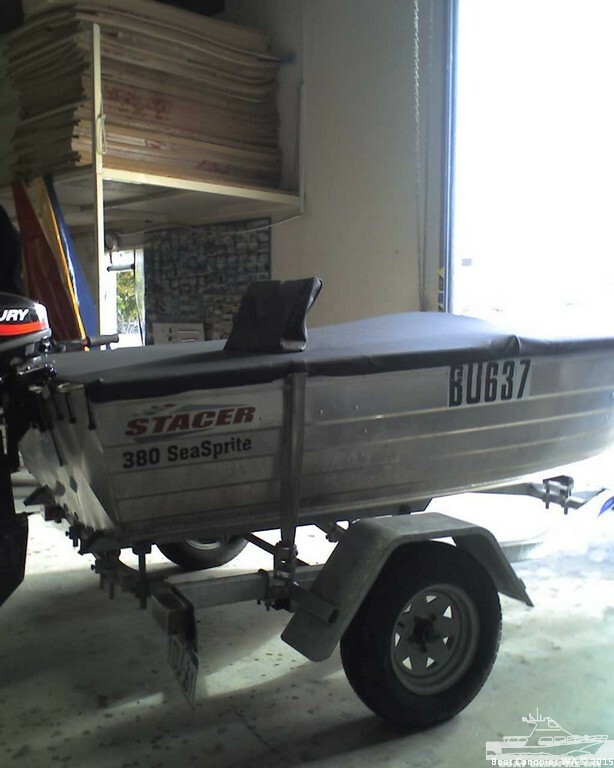 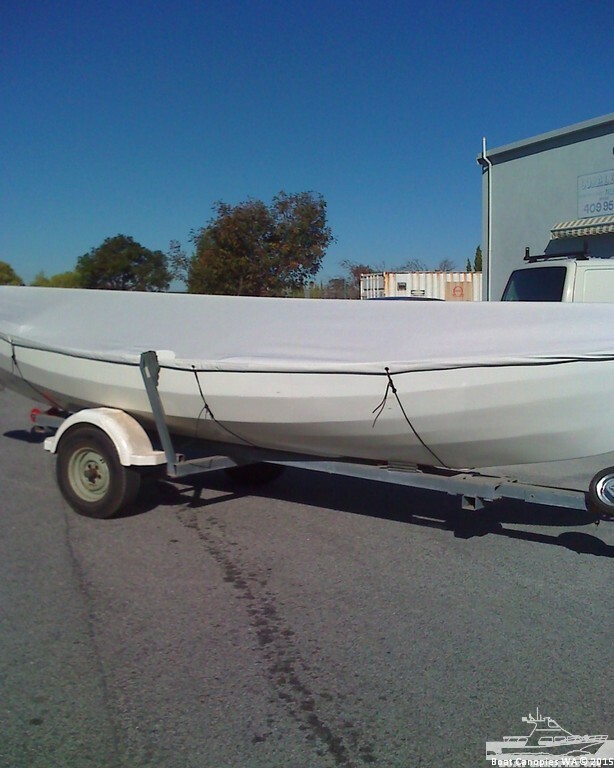 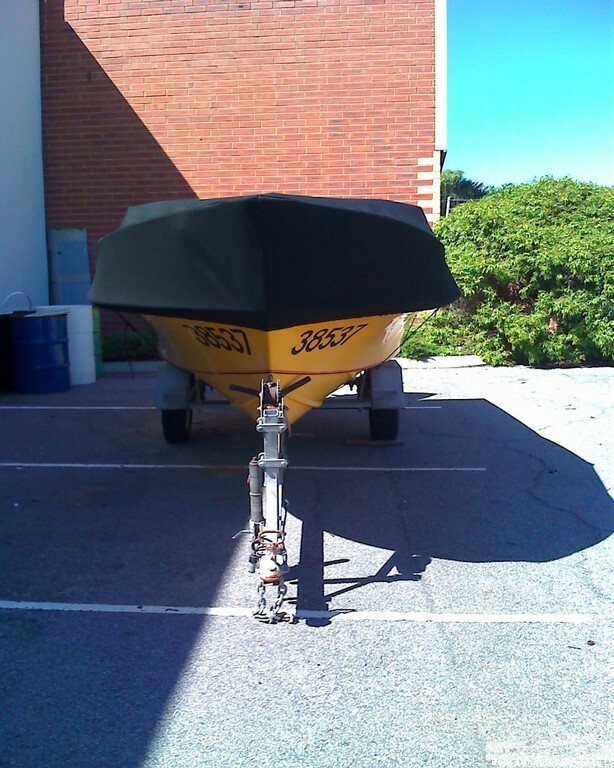 Please Note, Our Full Boat Covers are NOT designed for Towing. 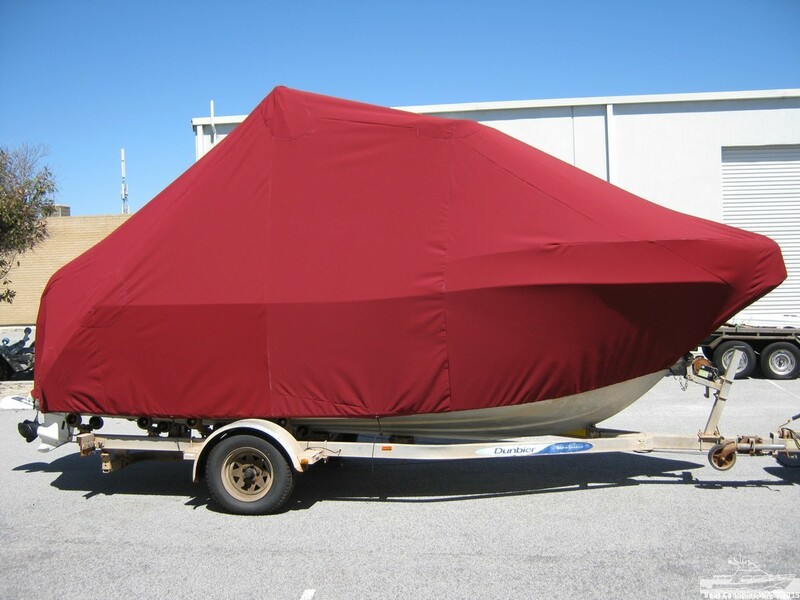 Copyright 2019 © Boat Canopies WA.